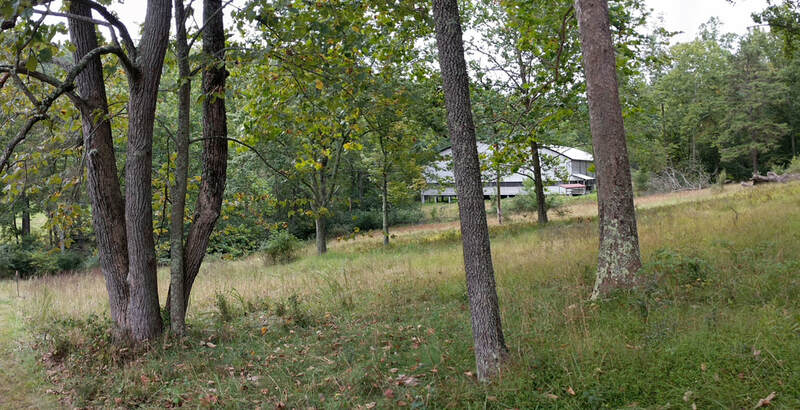 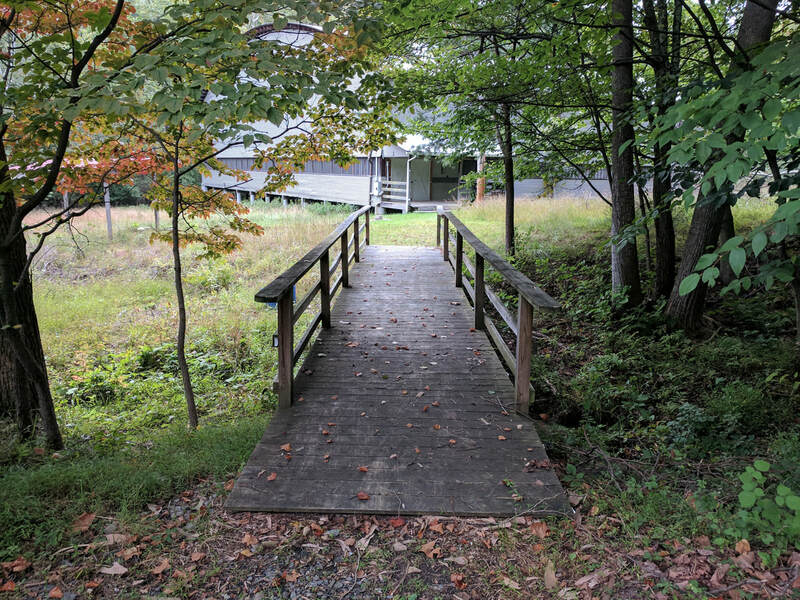 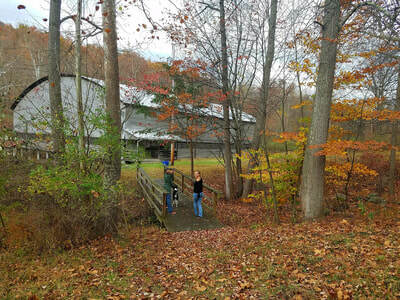 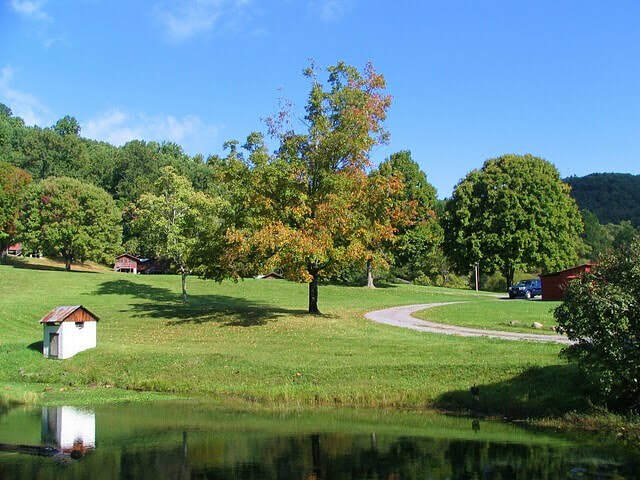 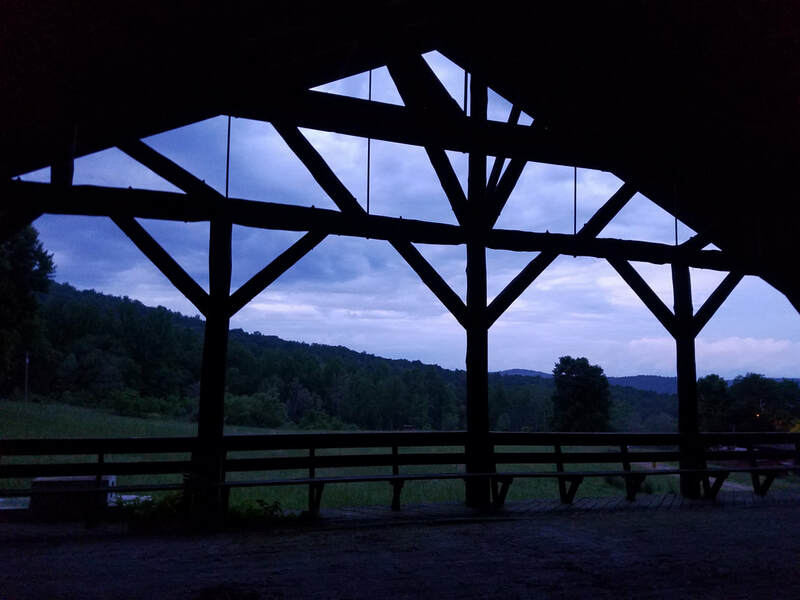 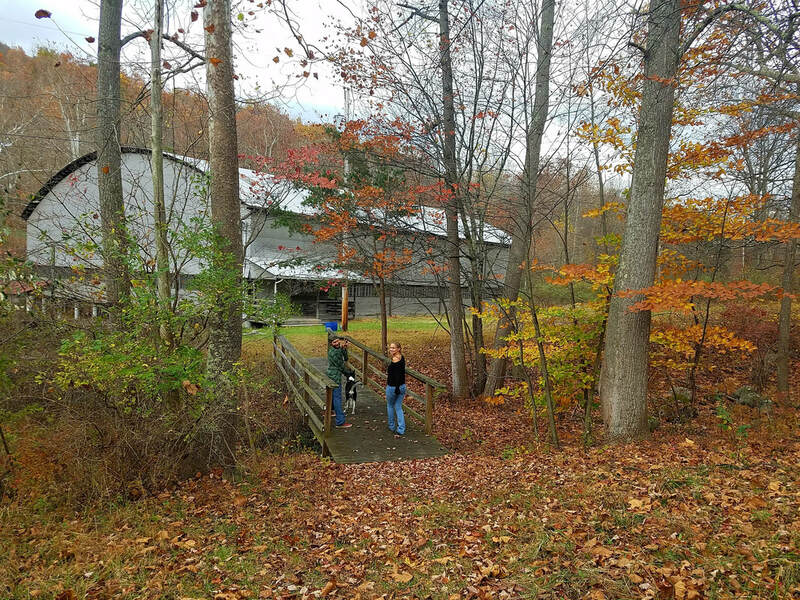 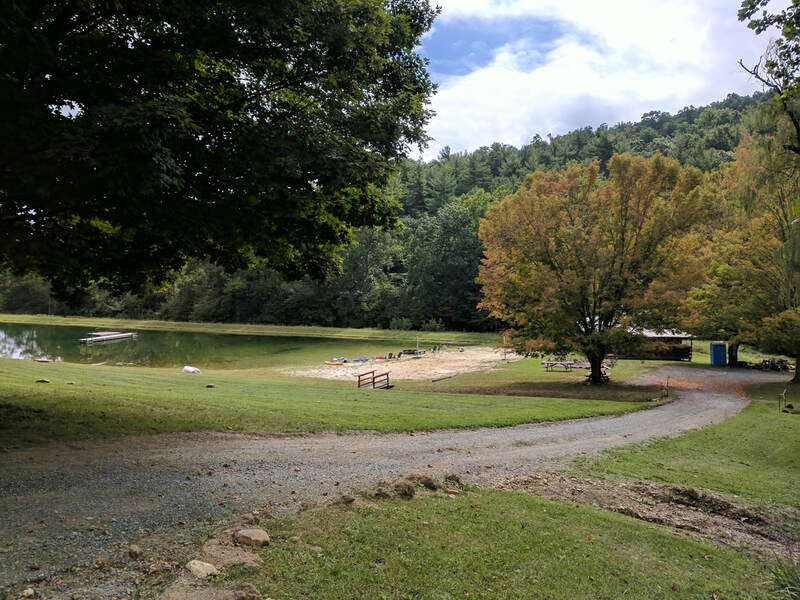 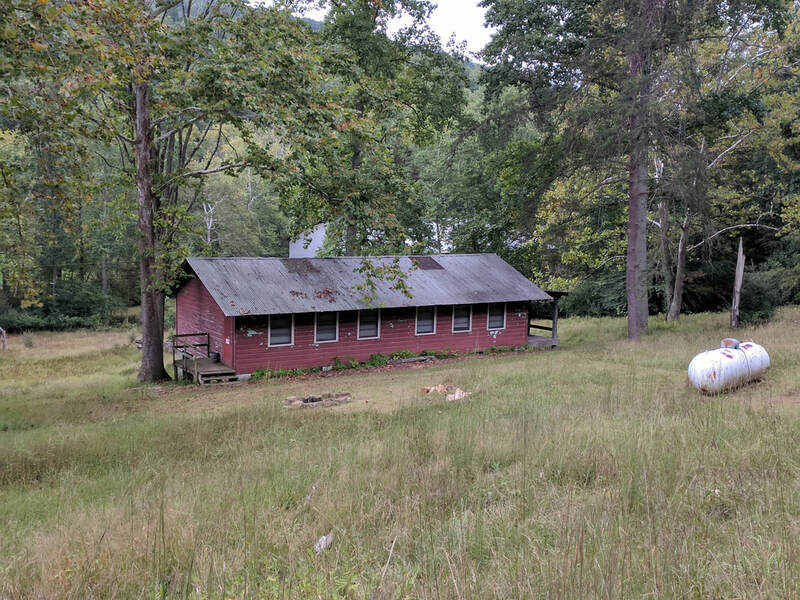 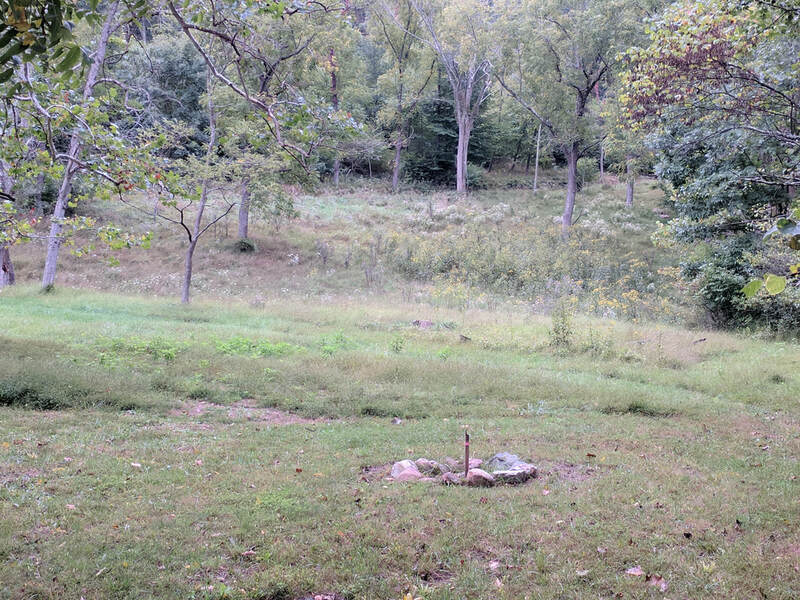 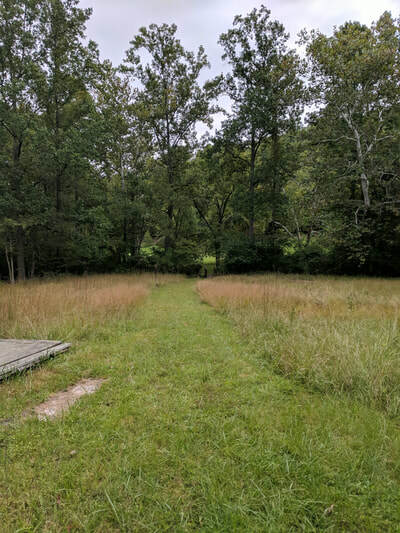 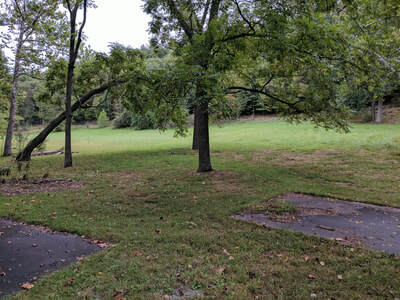 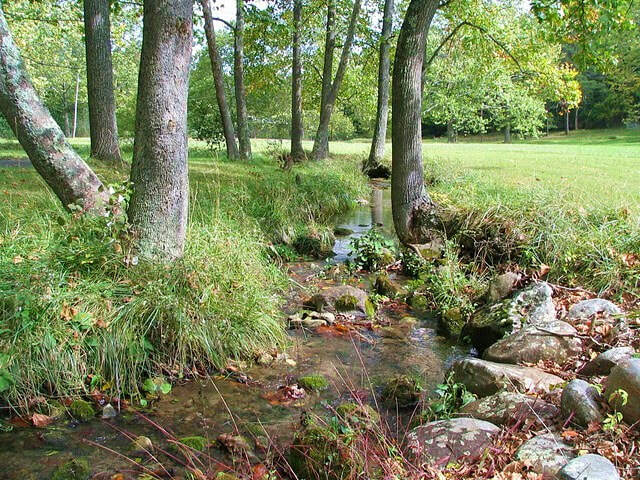 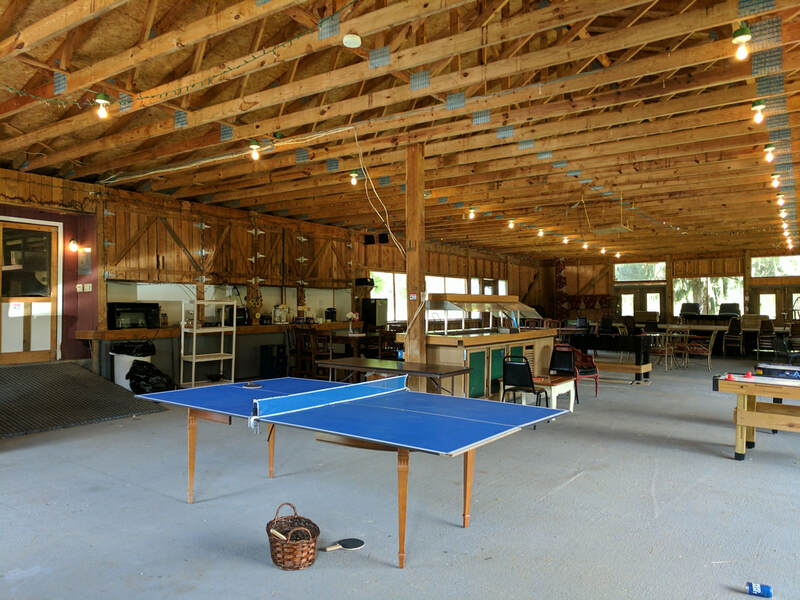 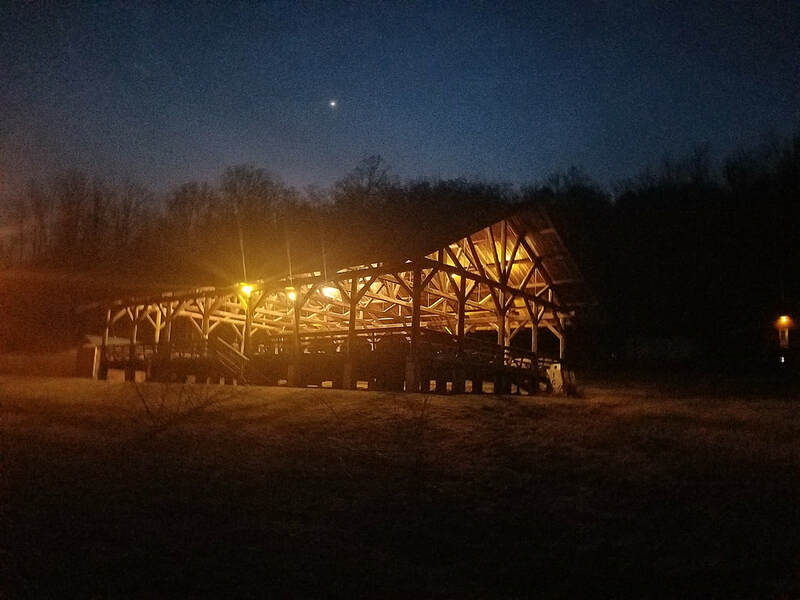 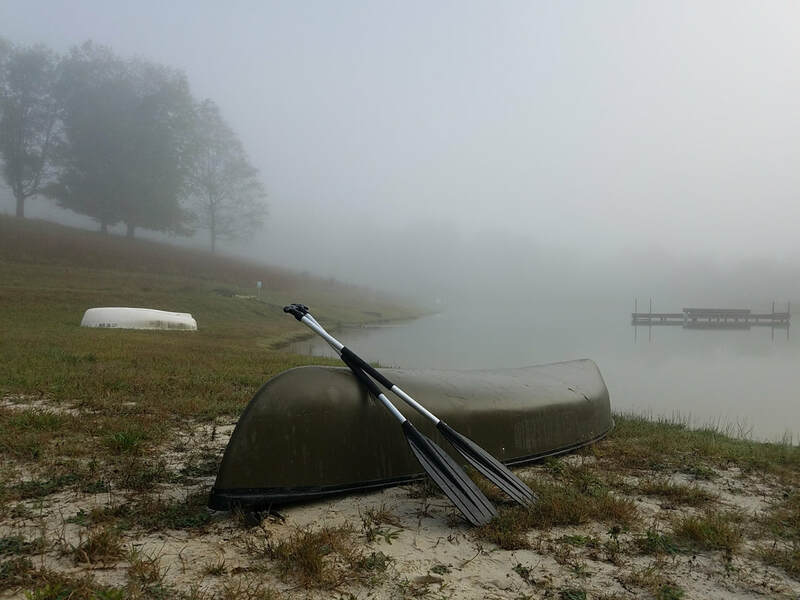 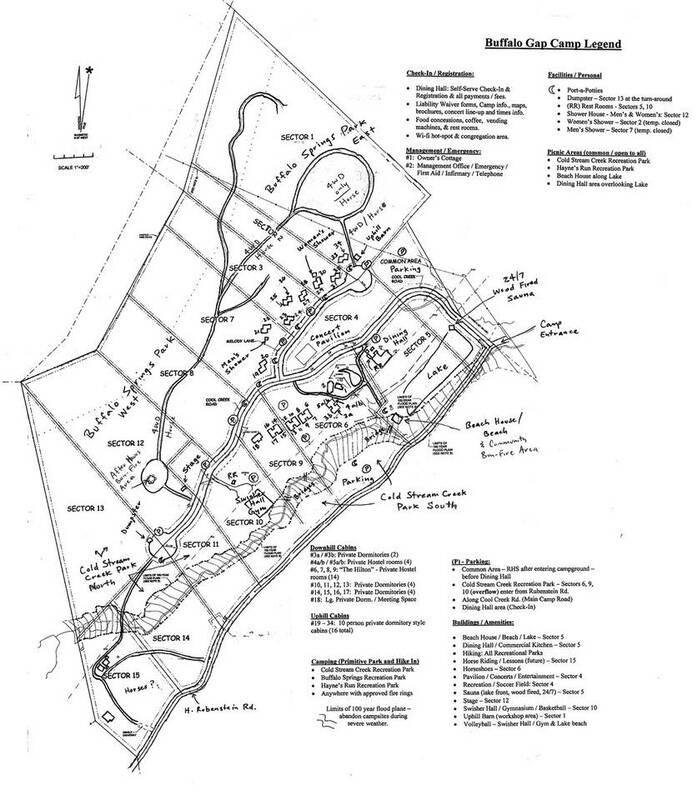 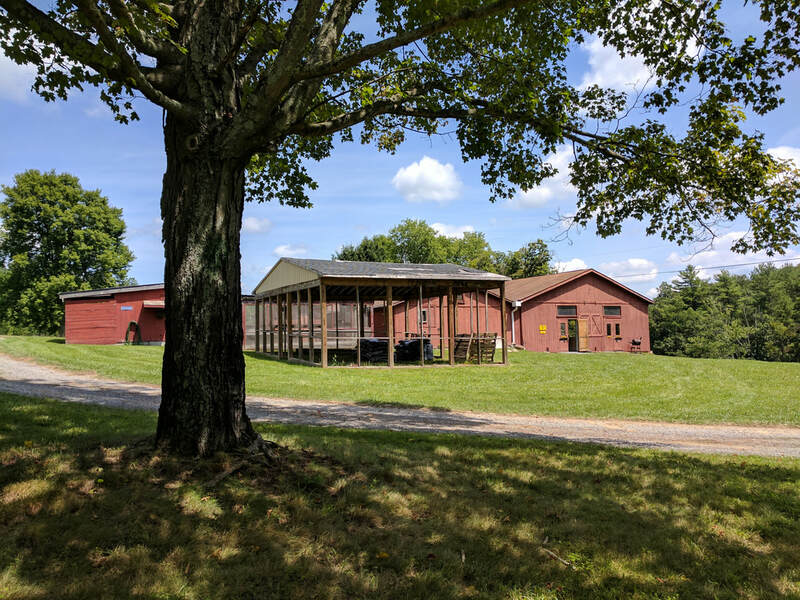 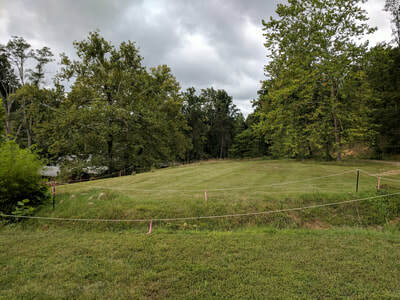 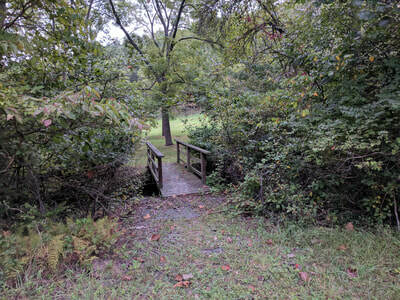 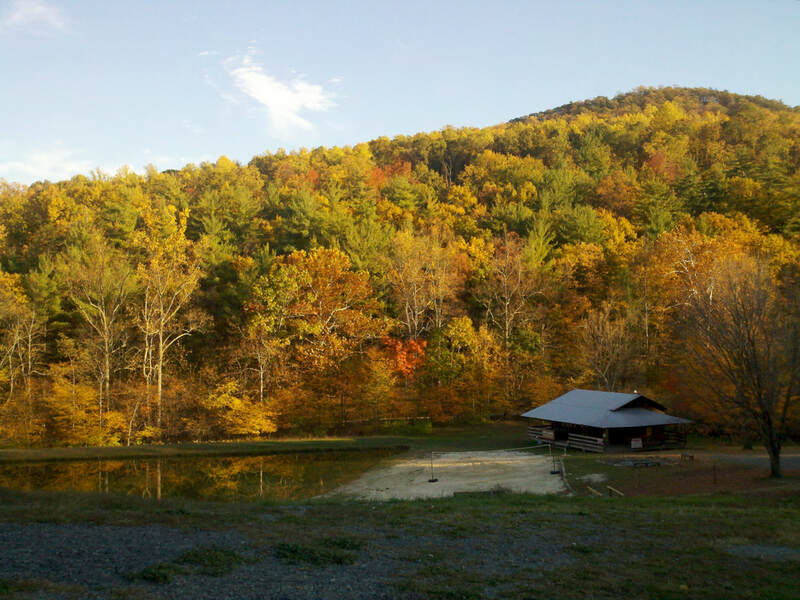 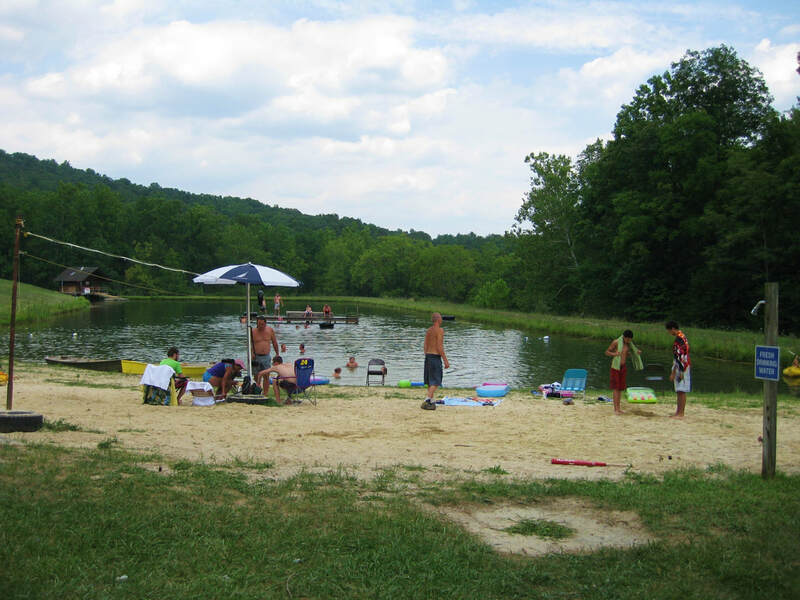 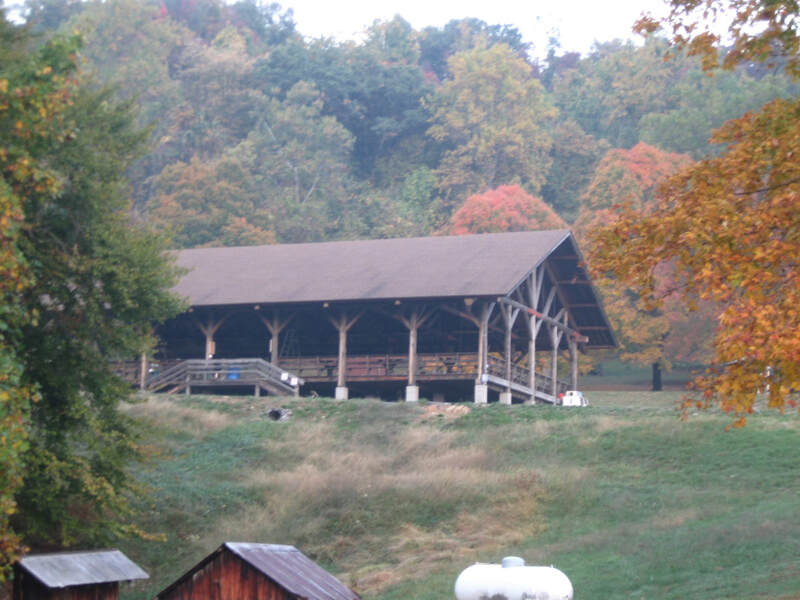 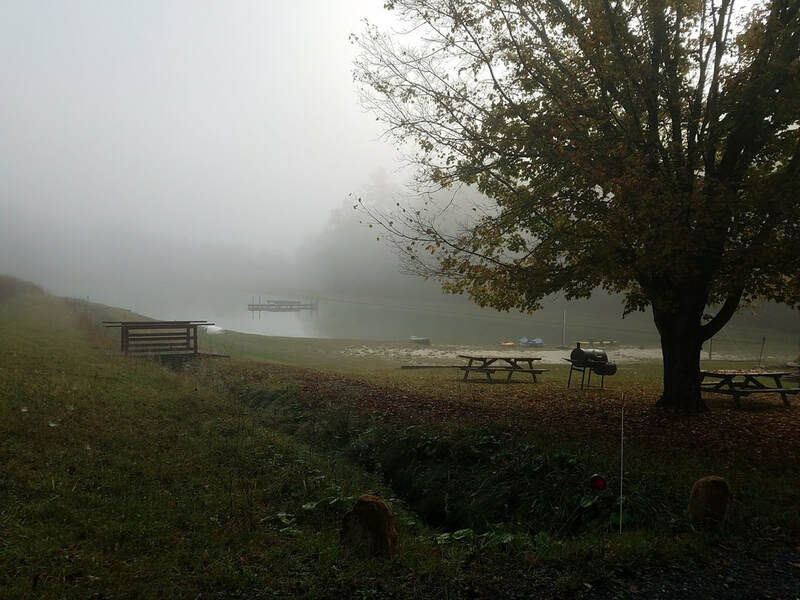 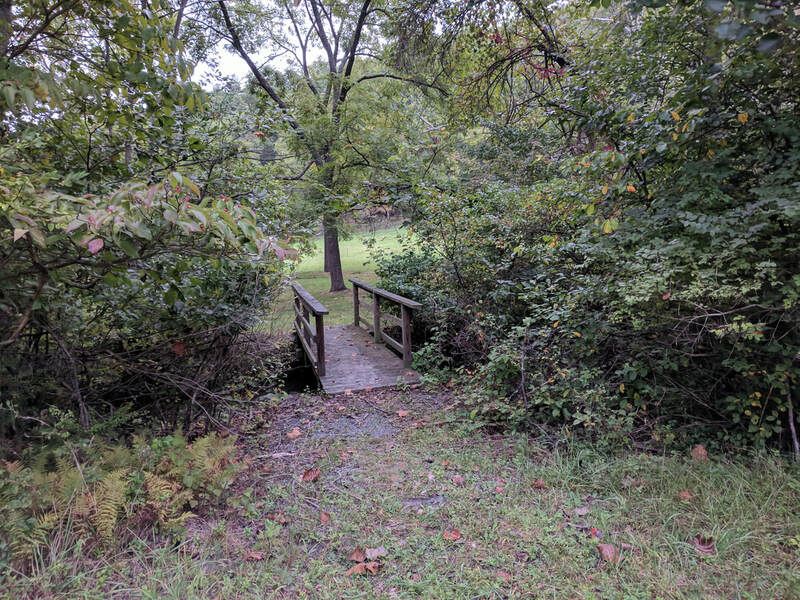 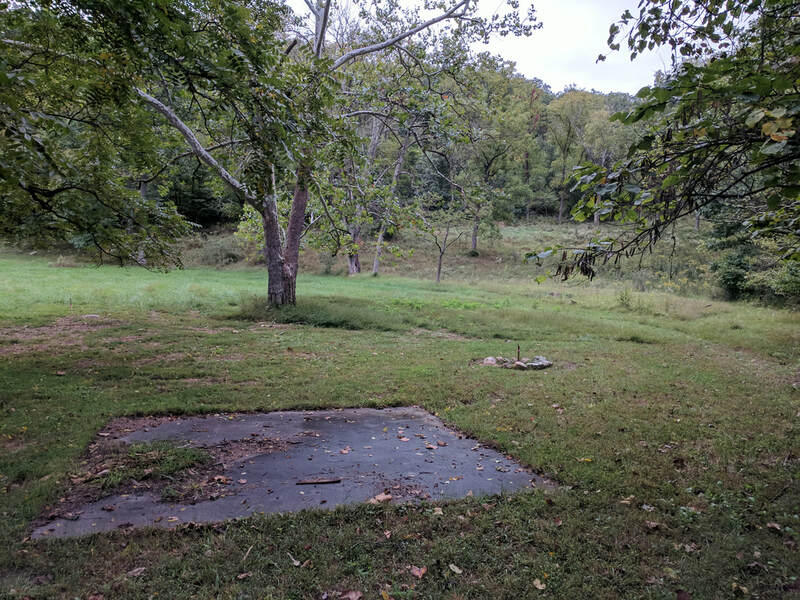 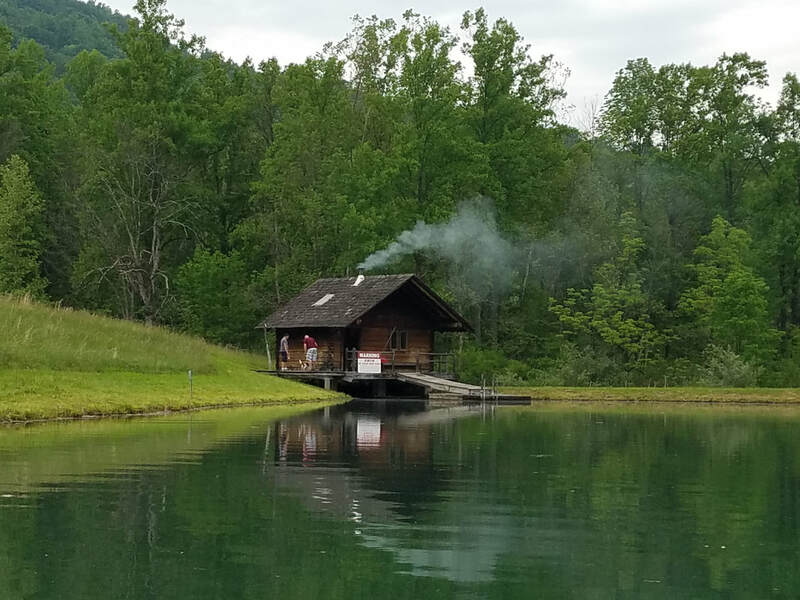 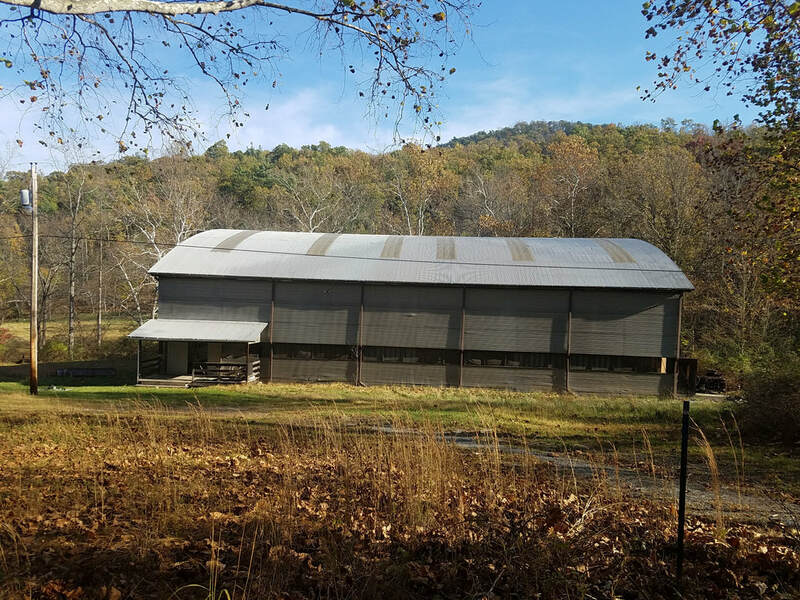 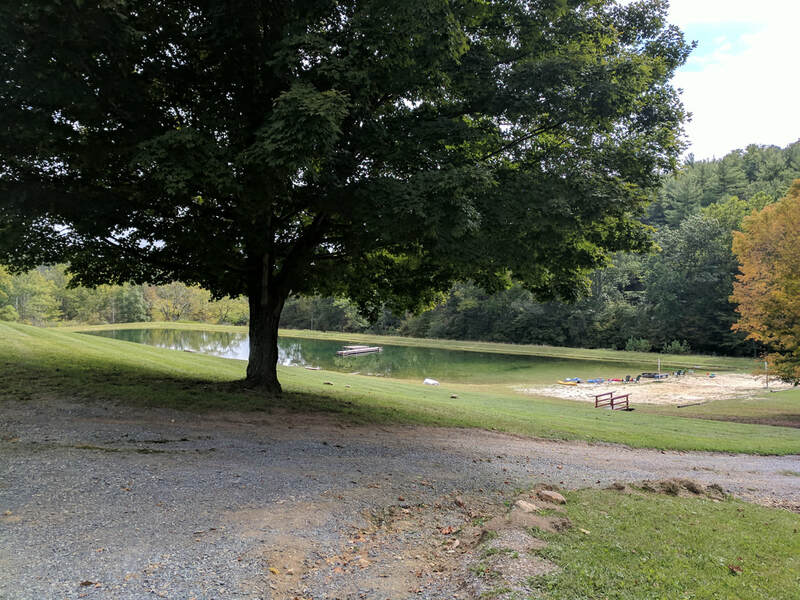 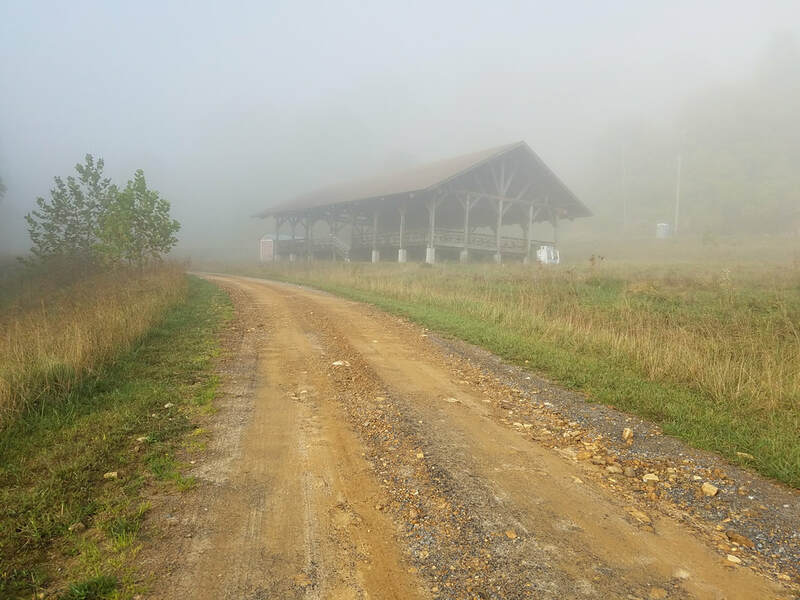 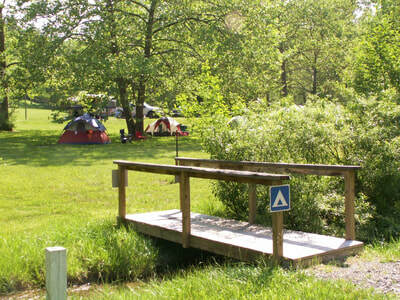 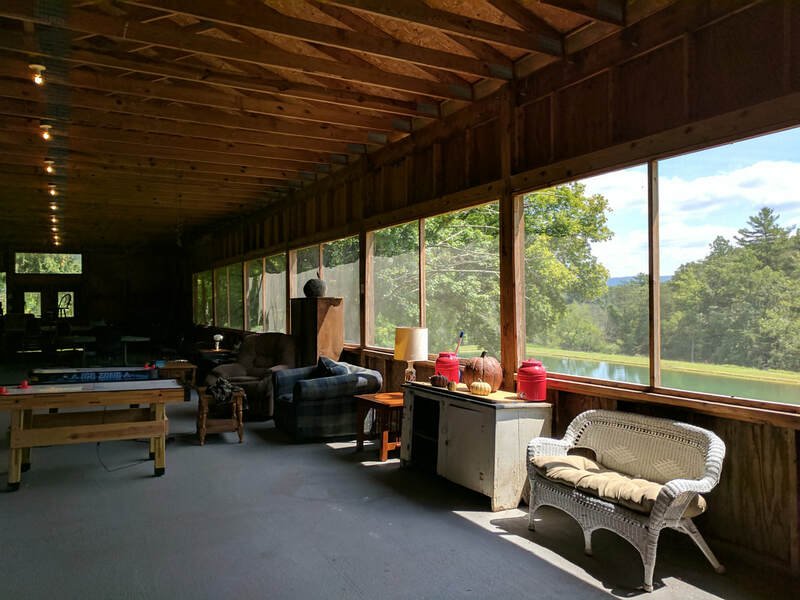 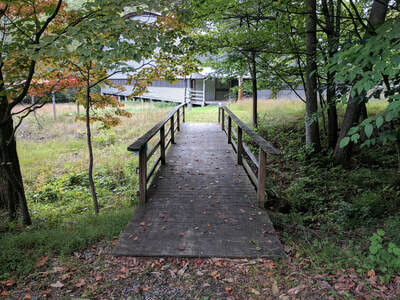 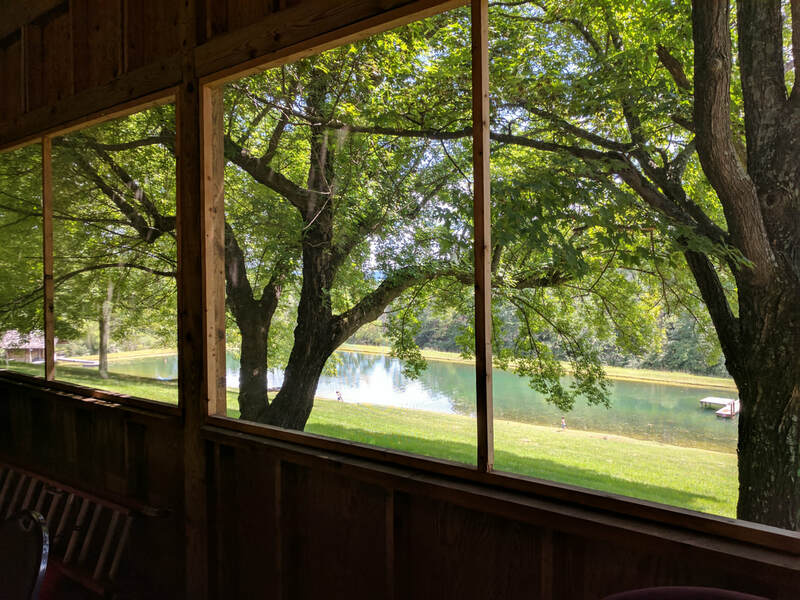 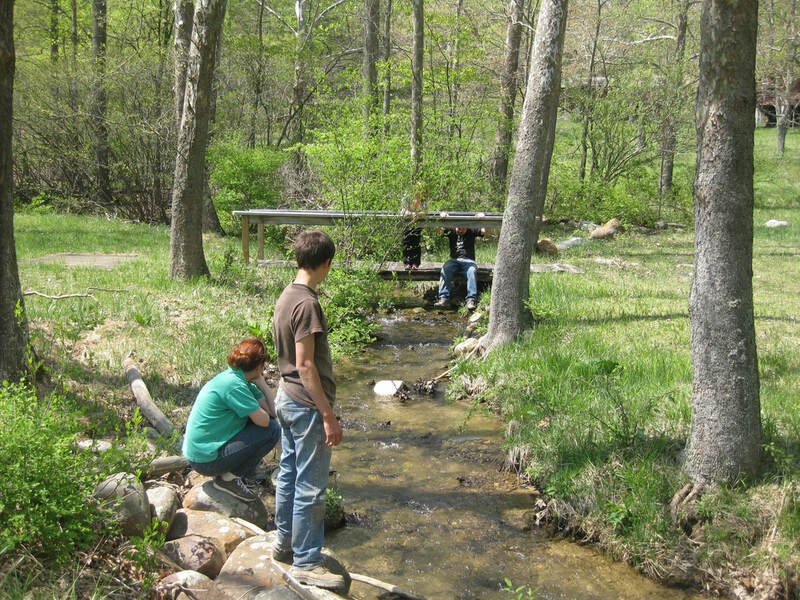 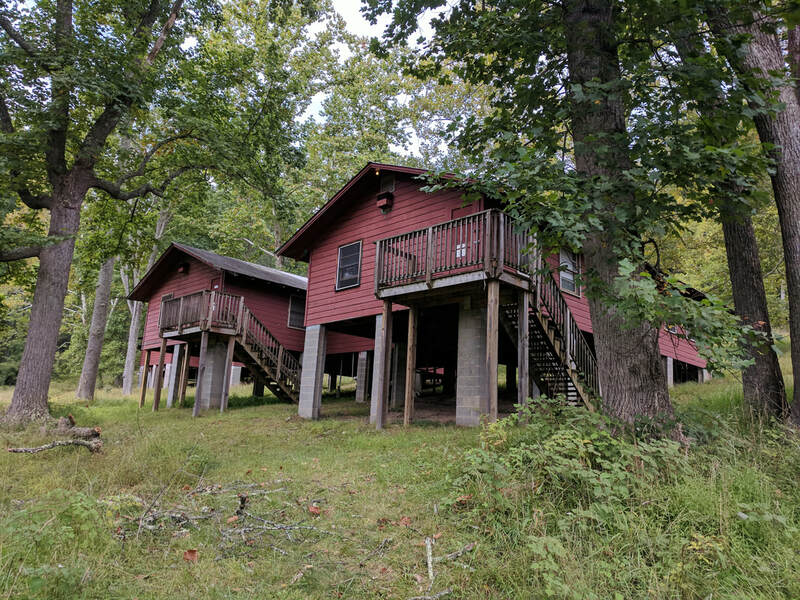 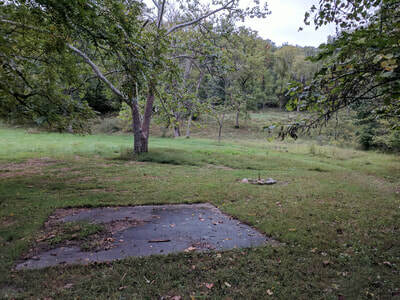 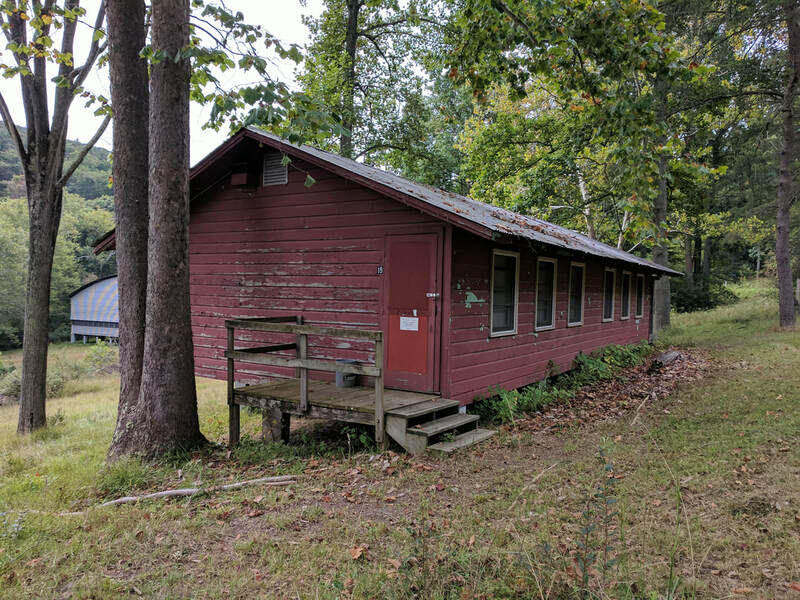 4 Lots for sale as a "Remaining Camp" purchase that includes some extraordinary buildings, land, and amenities close to Winchester VA. 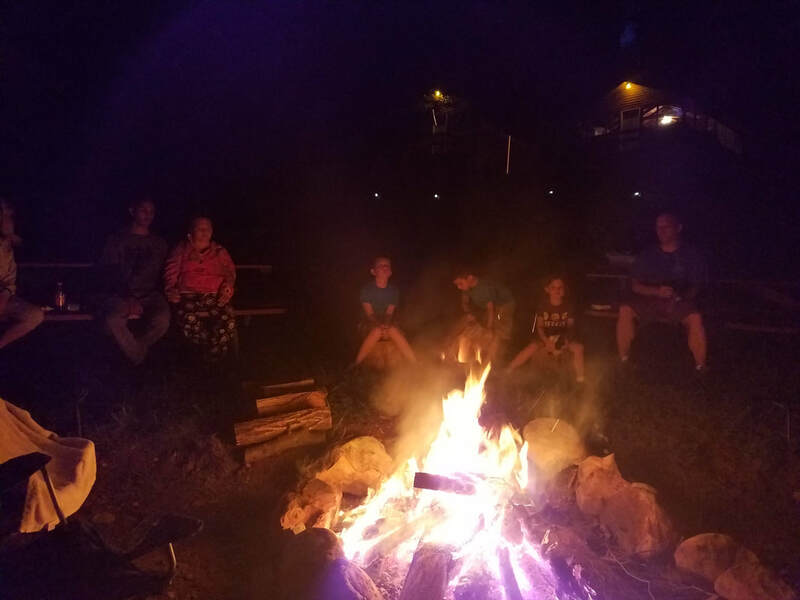 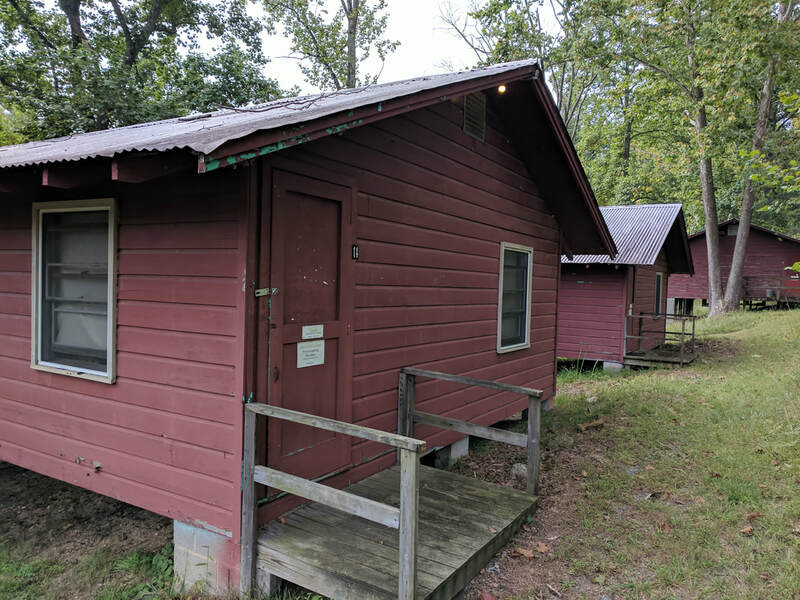 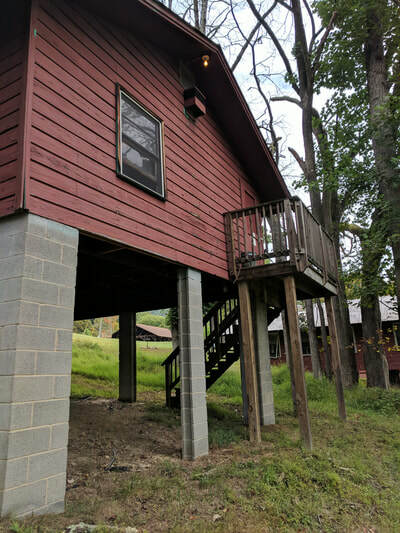 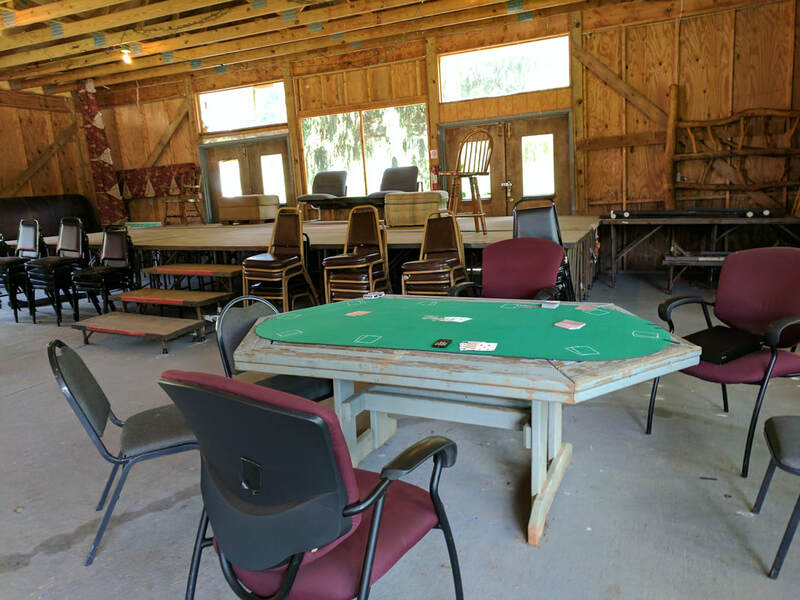 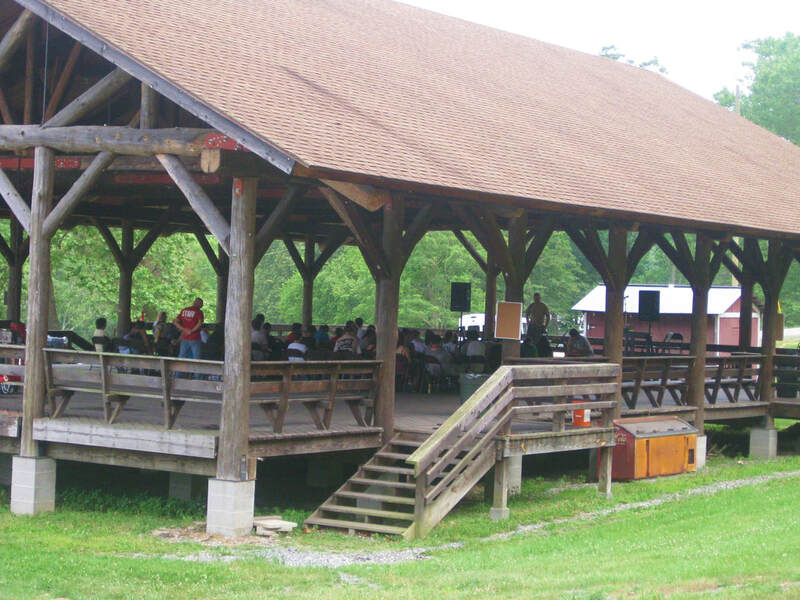 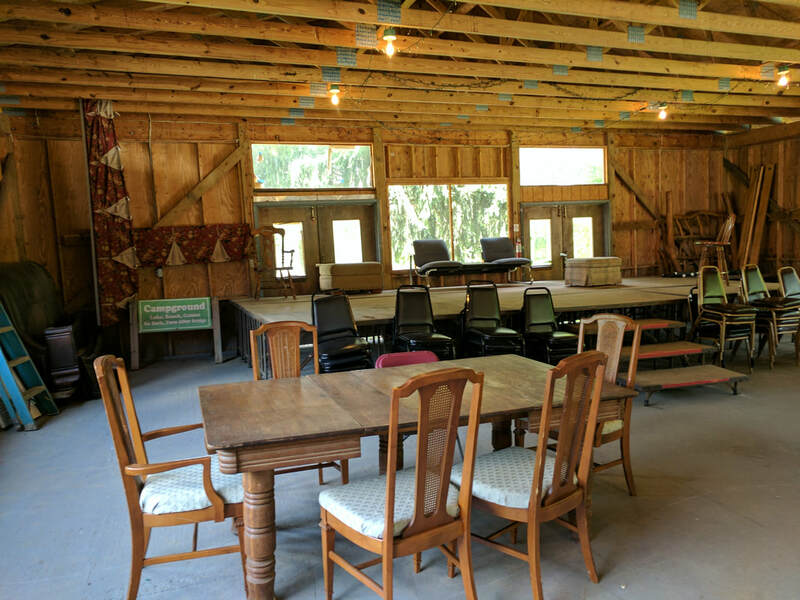 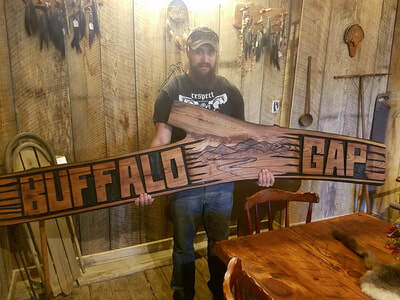 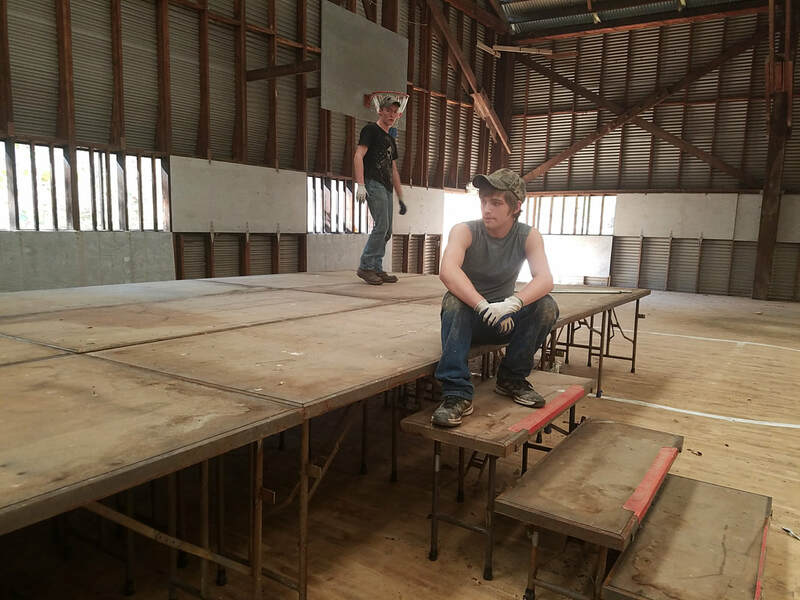 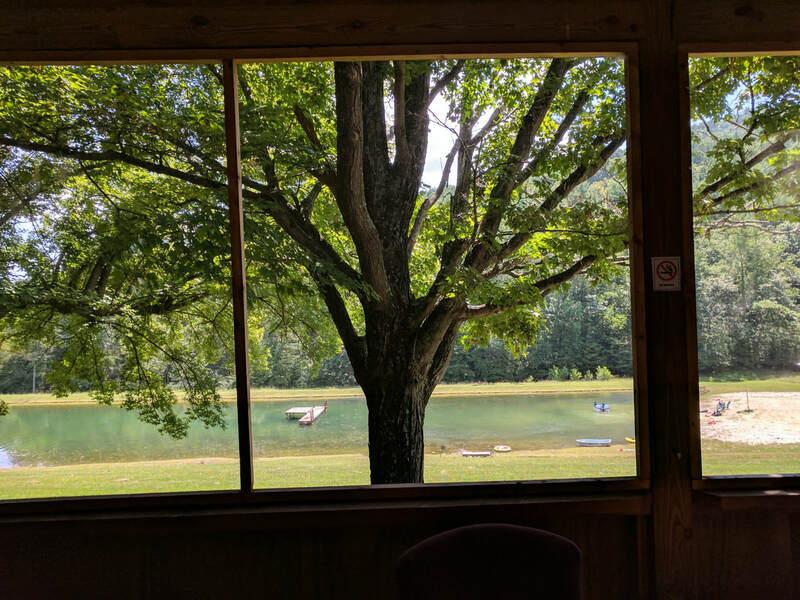 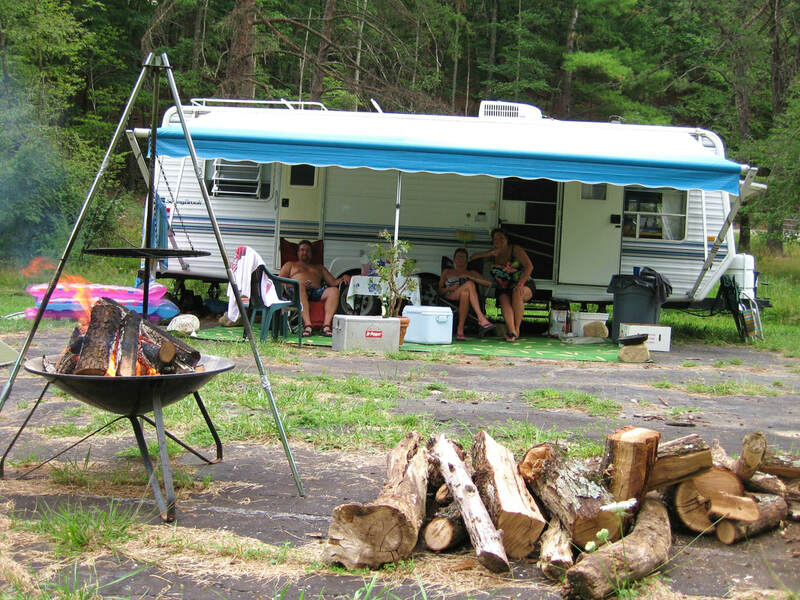 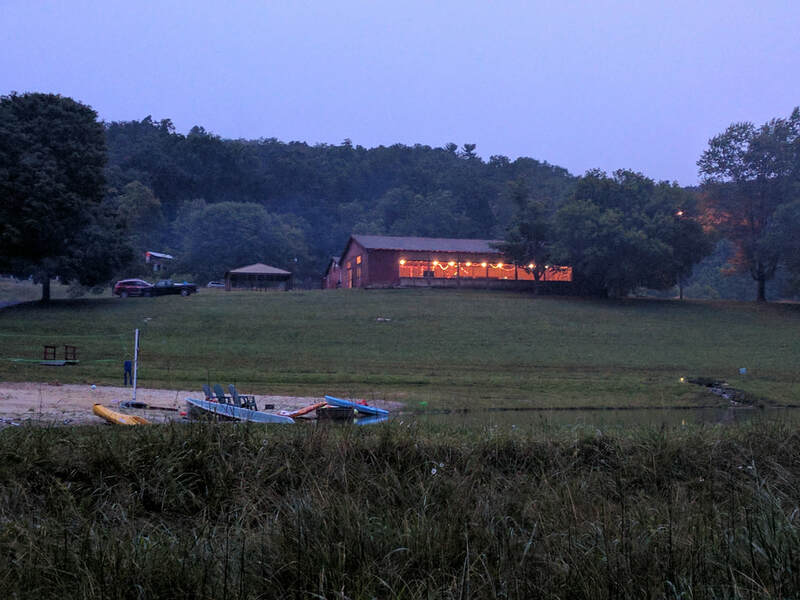 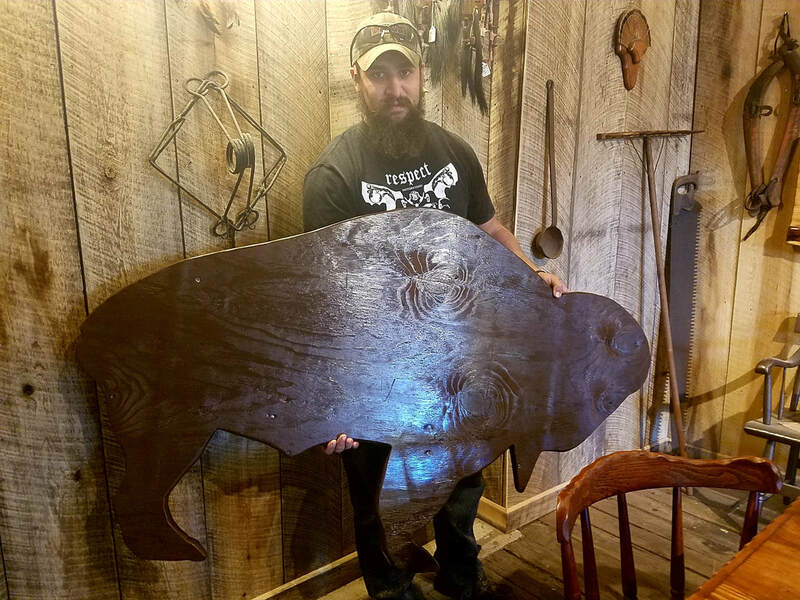 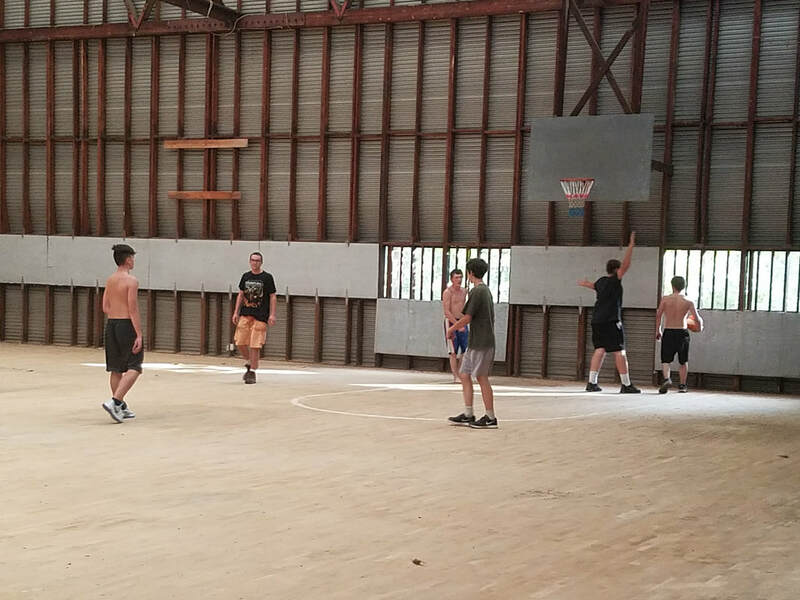 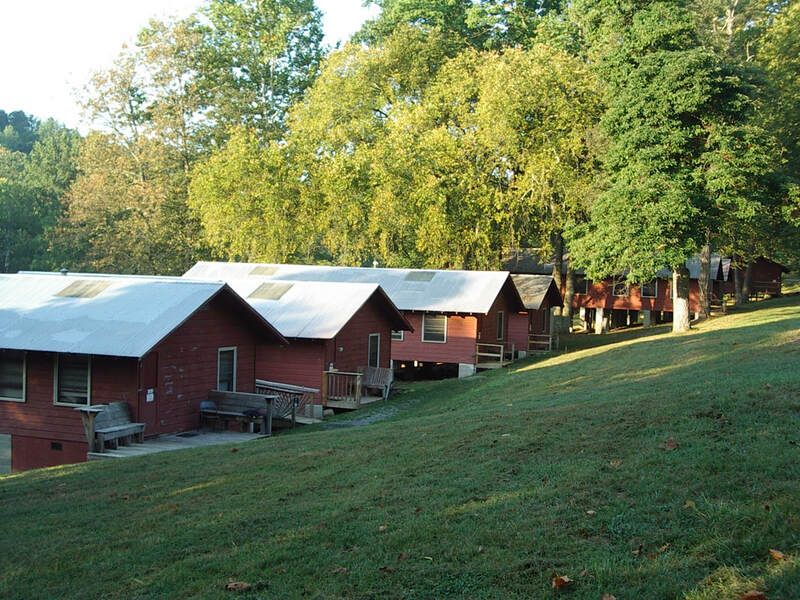 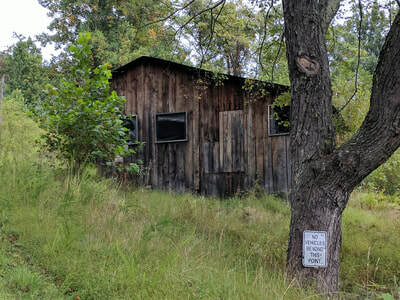 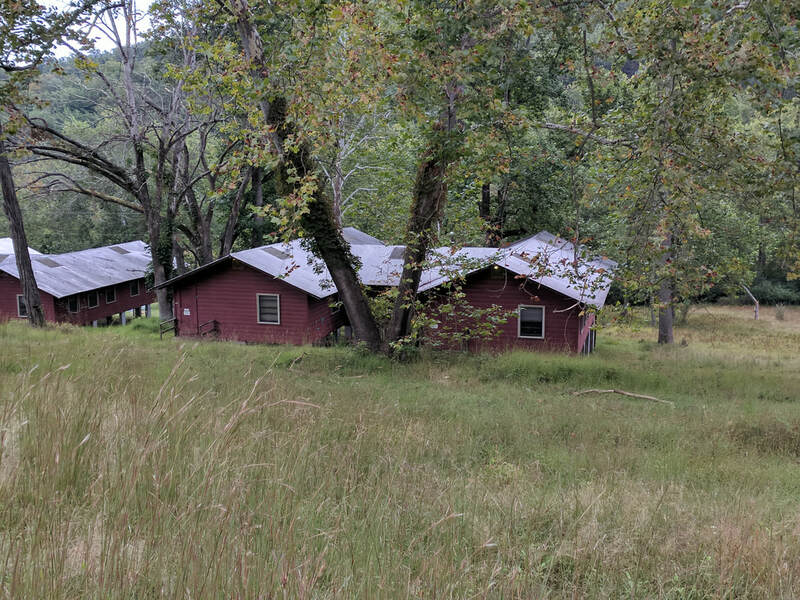 The current bank that is overseeing the remaining foreclosed properties at Buffalo Gap is seeking for a "whole camp" purchase of 4 remaining lots currently available. 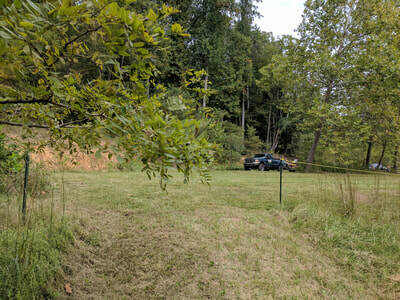 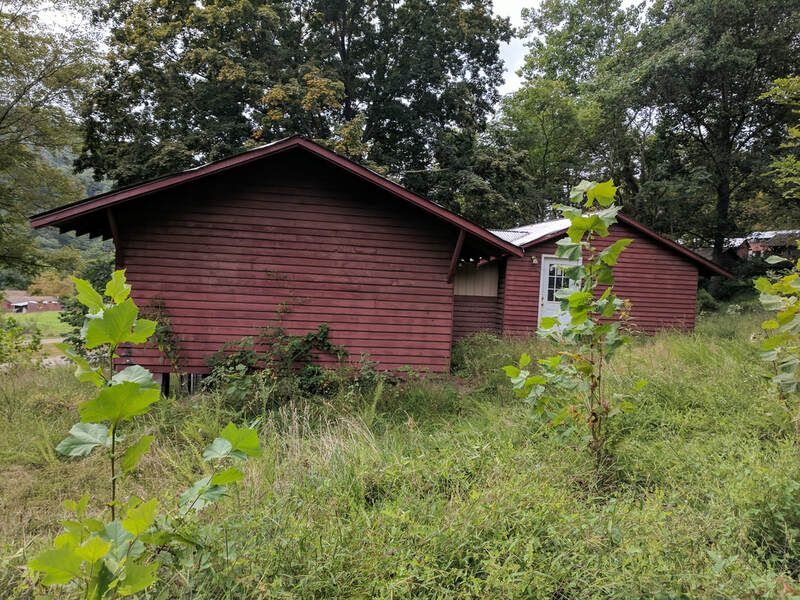 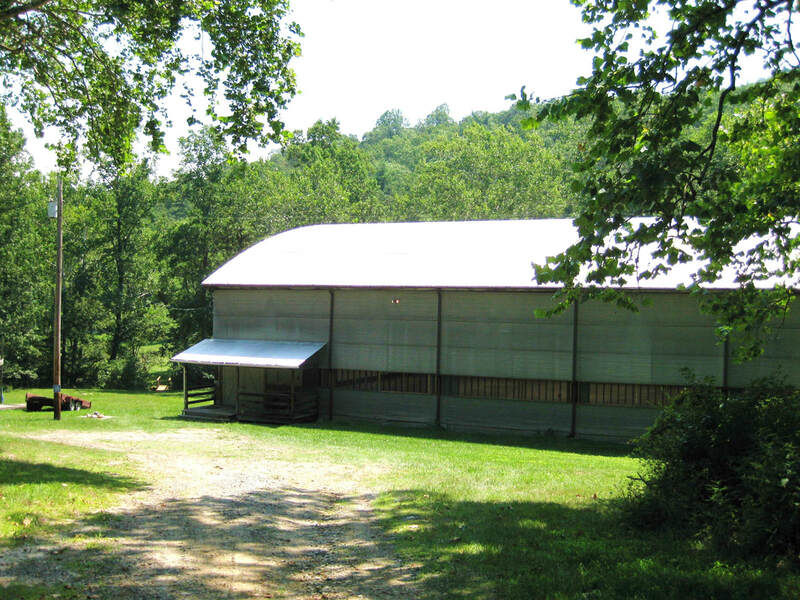 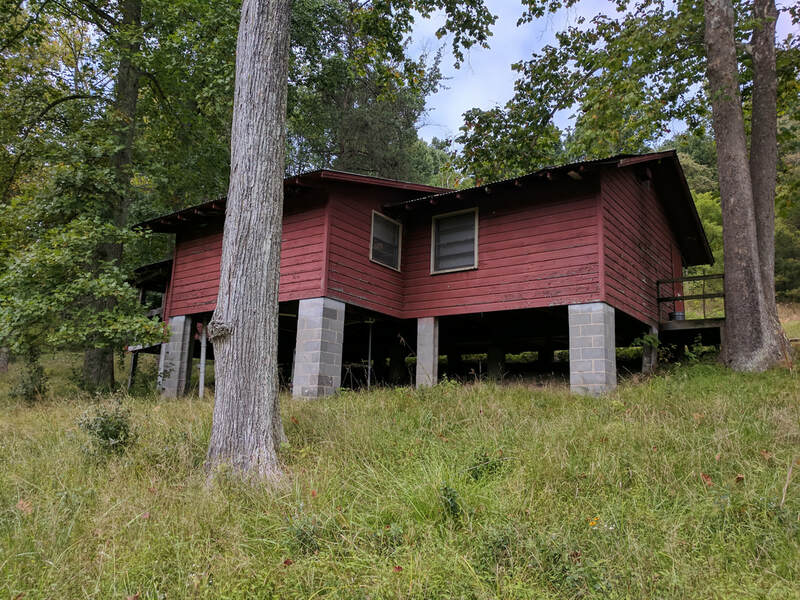 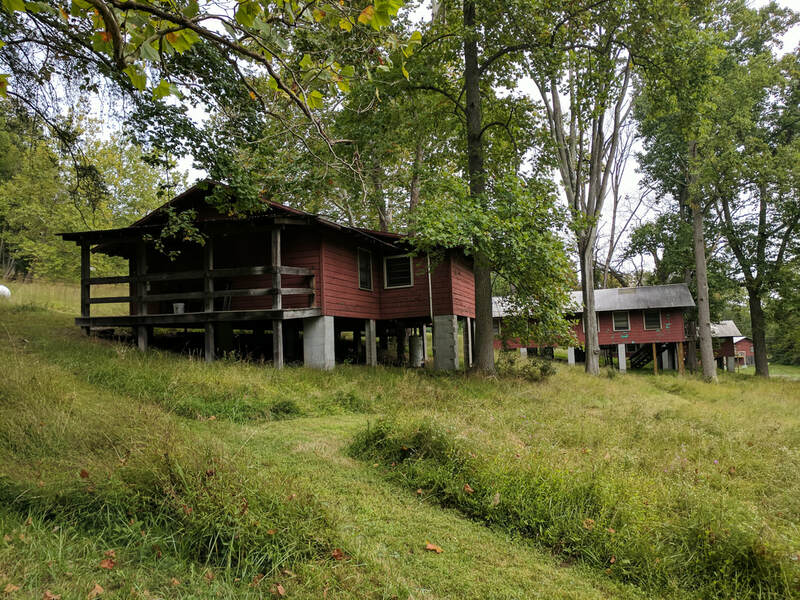 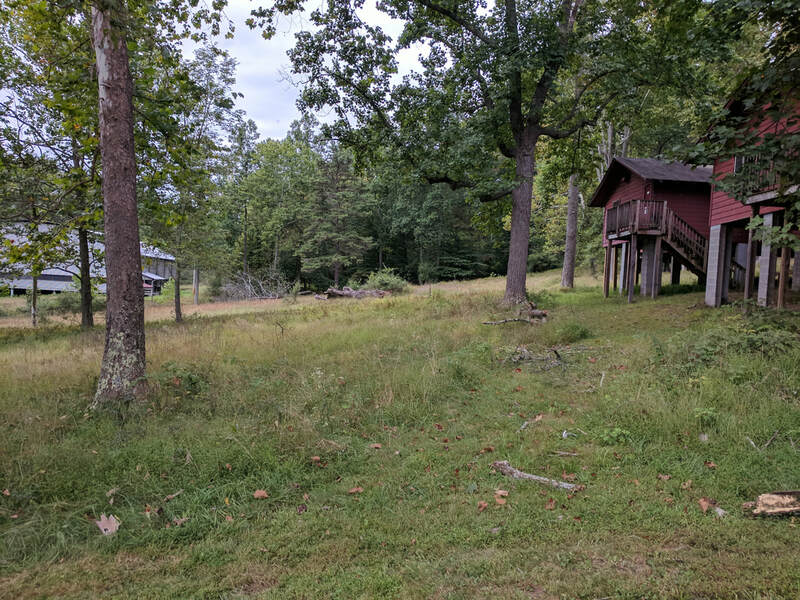 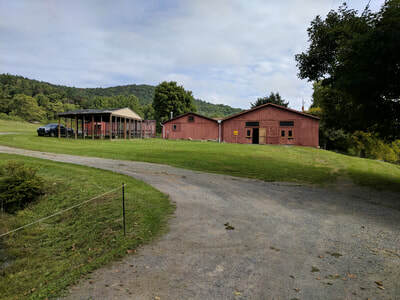 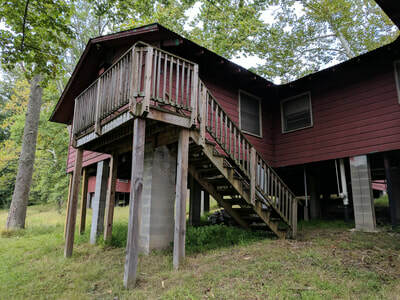 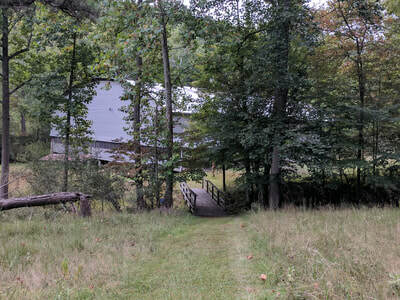 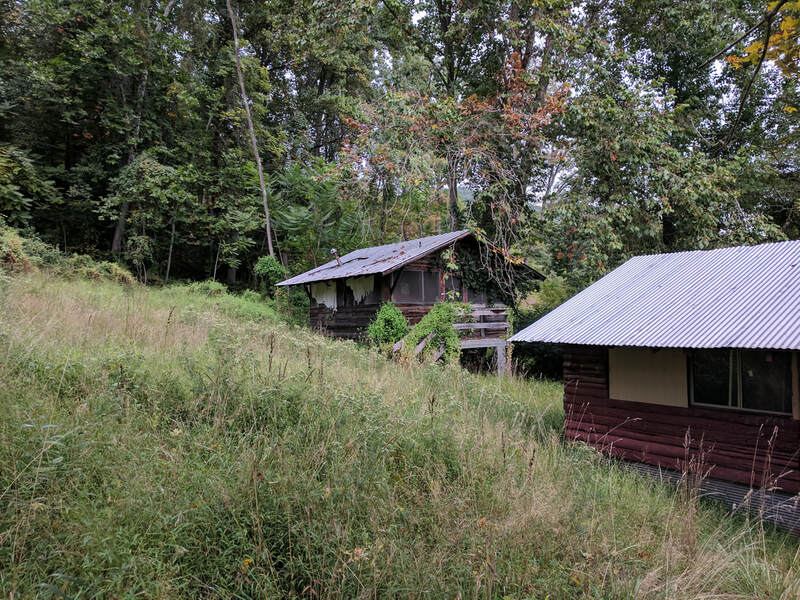 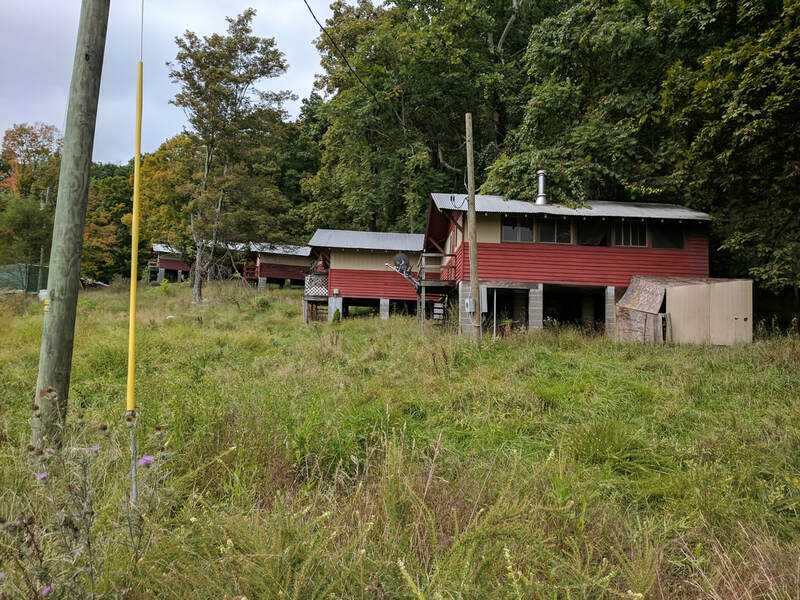 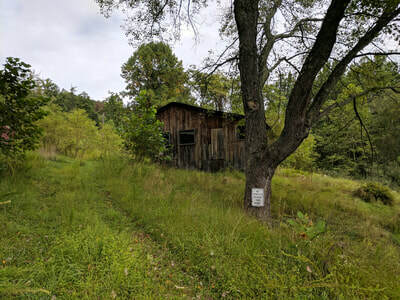 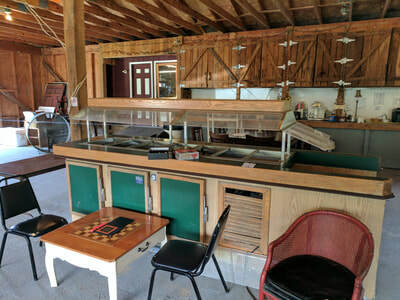 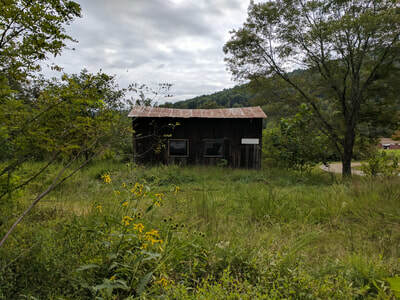 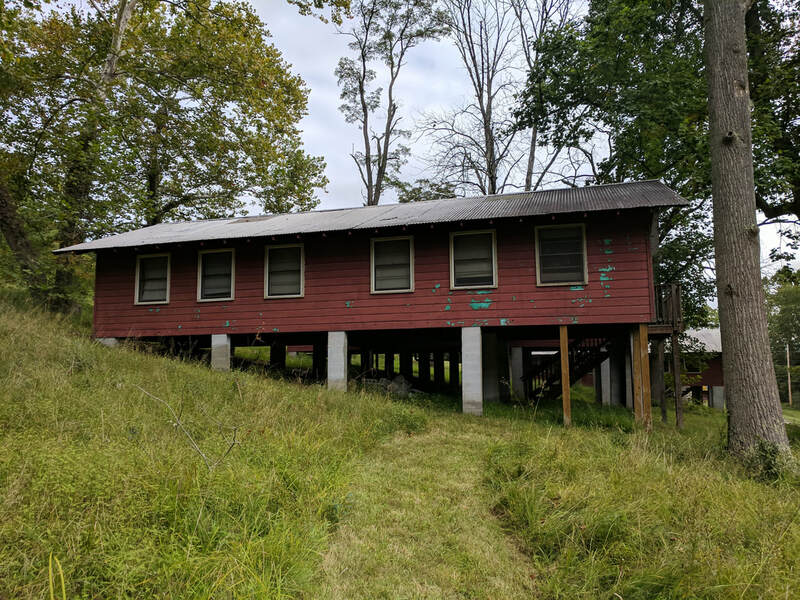 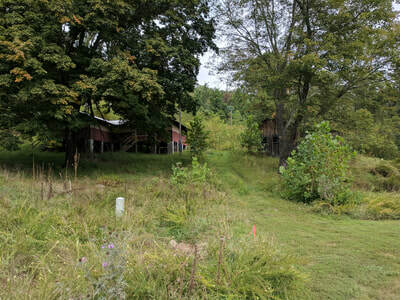 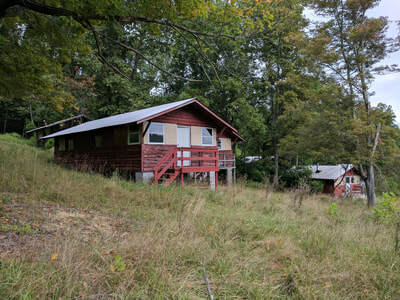 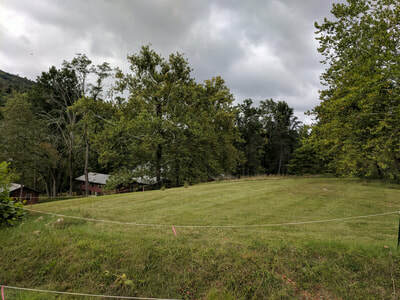 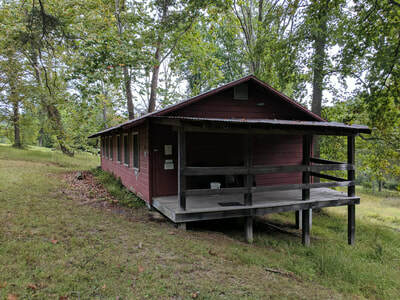 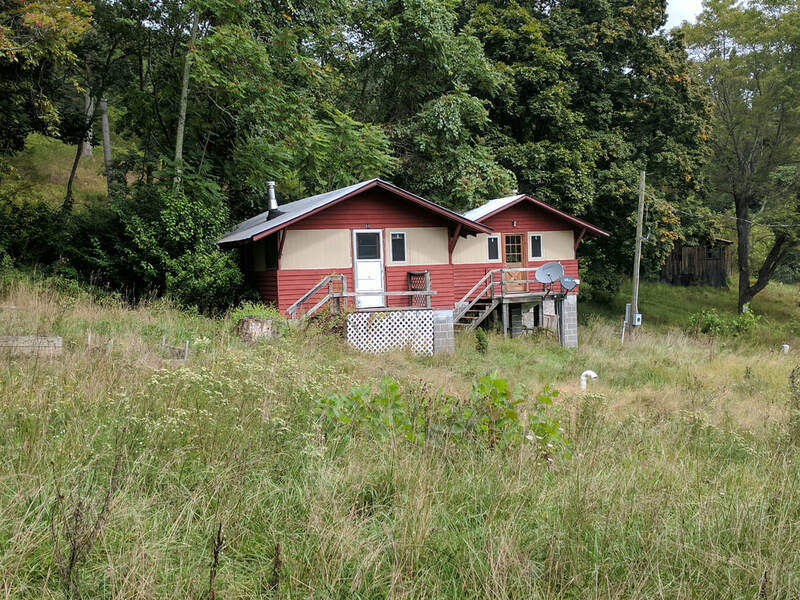 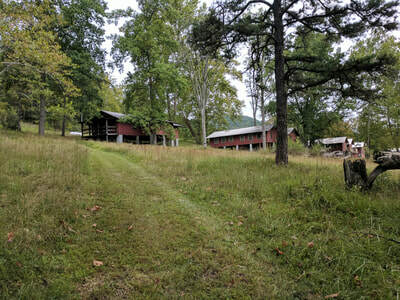 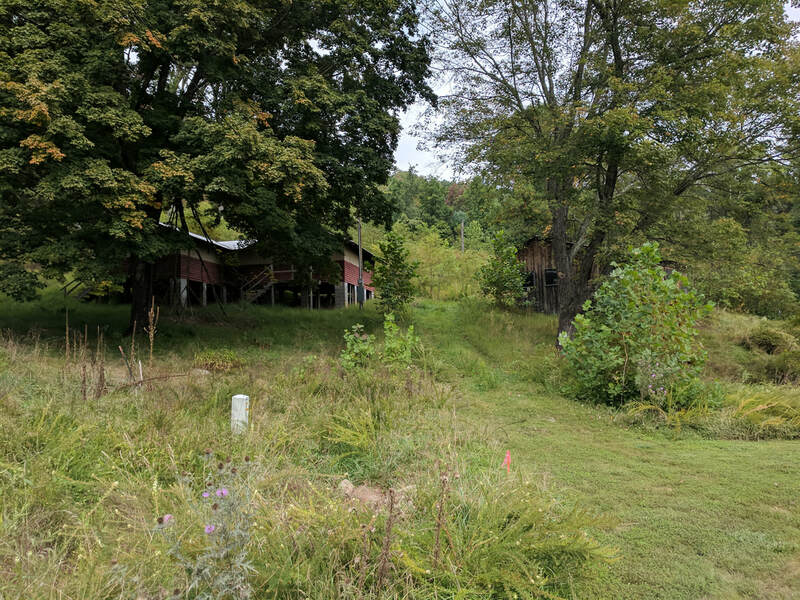 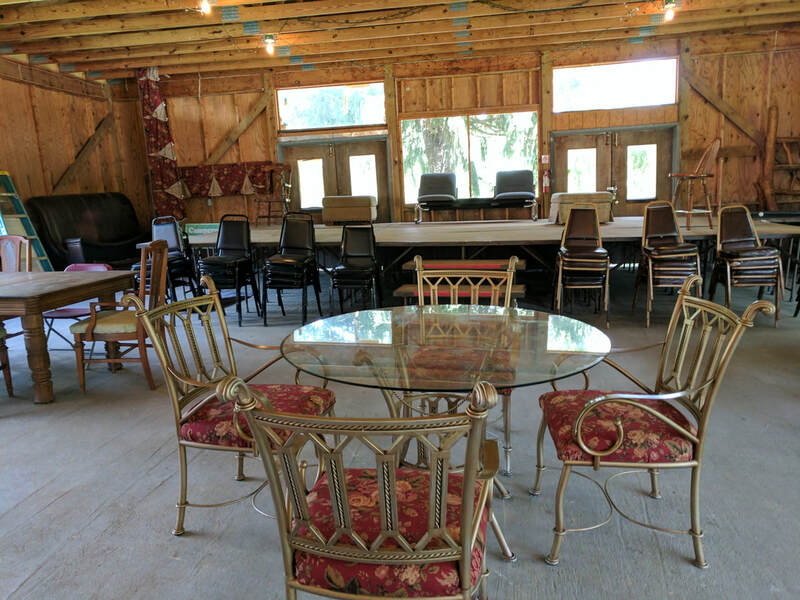 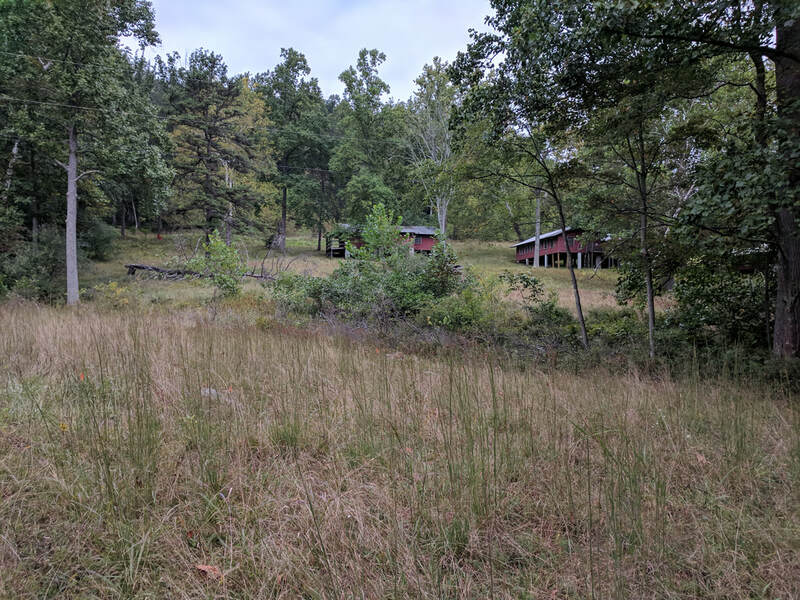 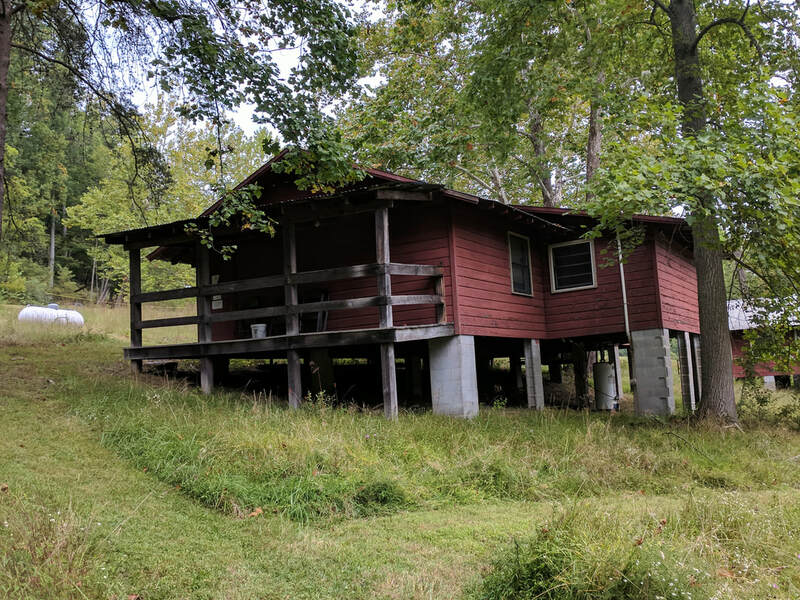 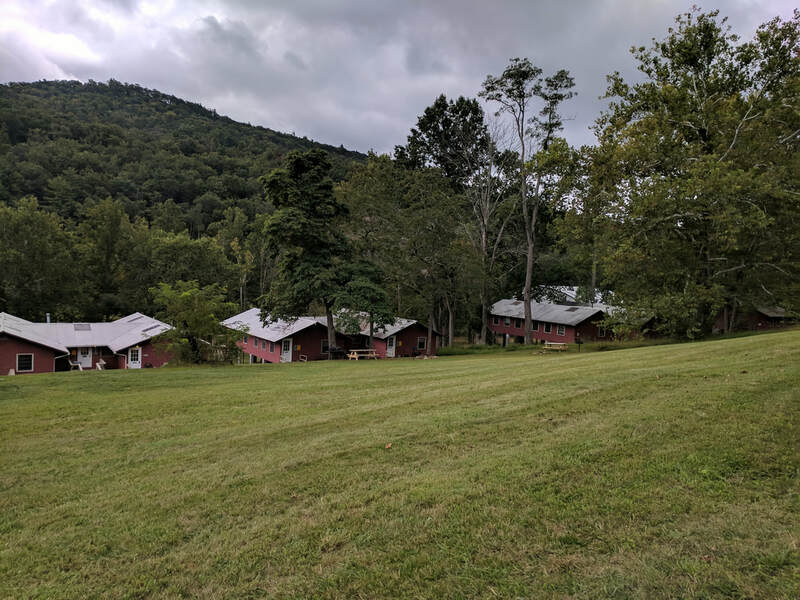 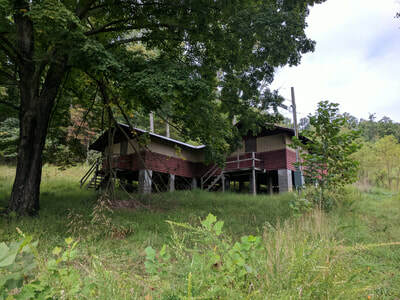 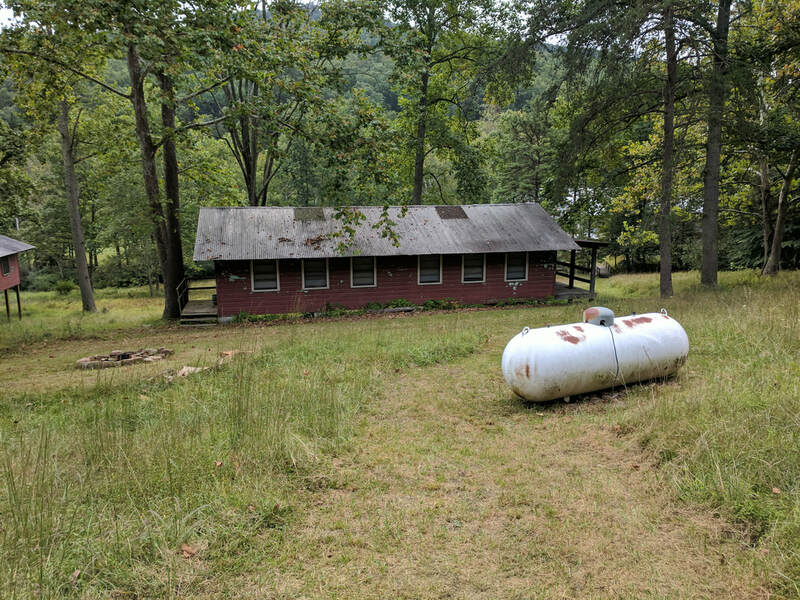 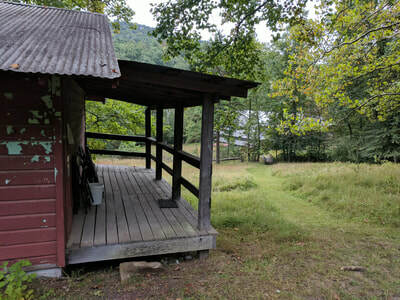 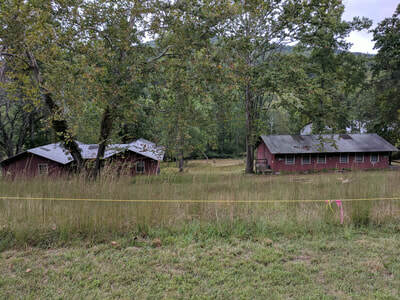 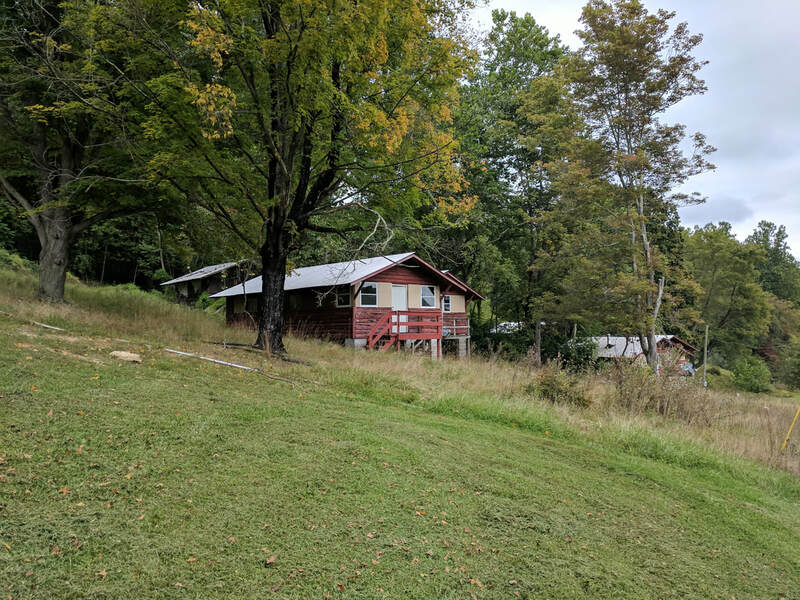 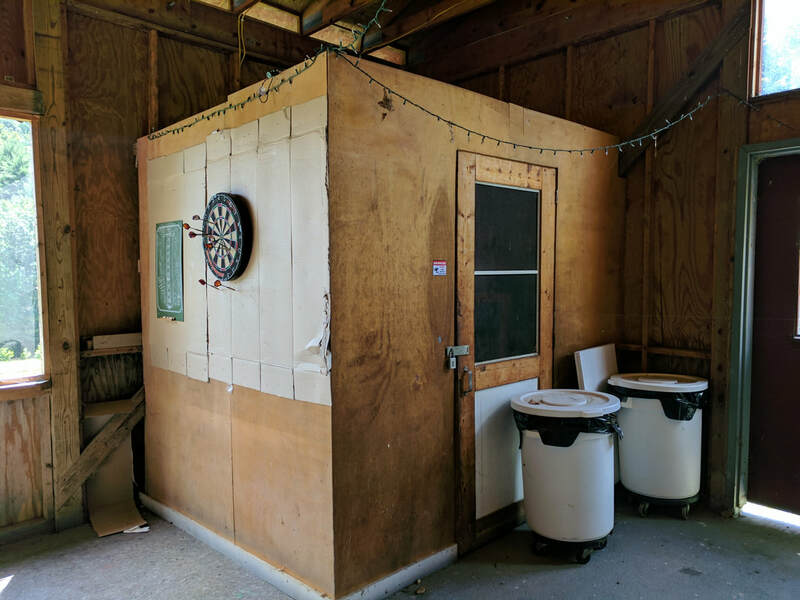 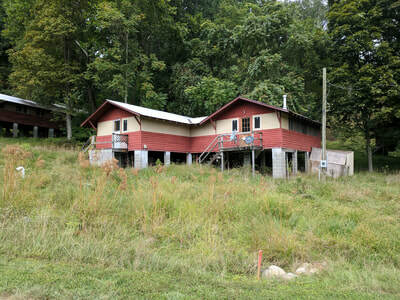 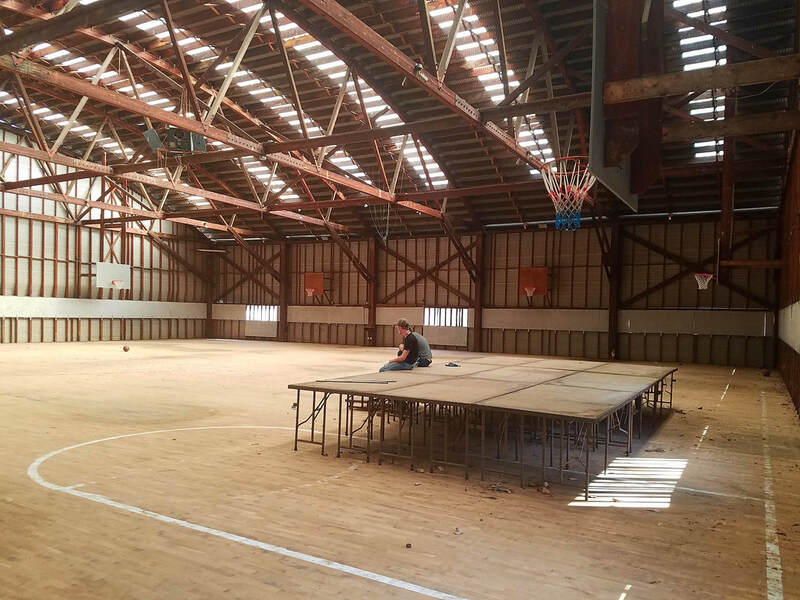 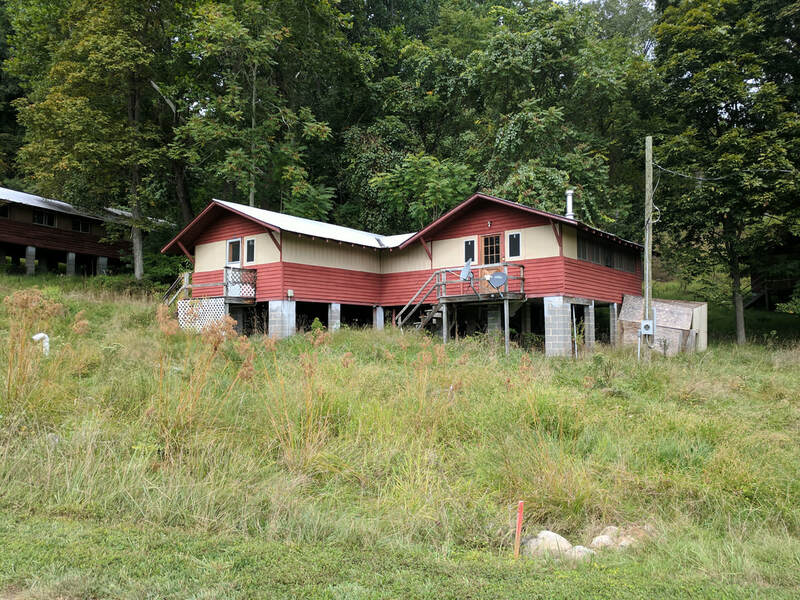 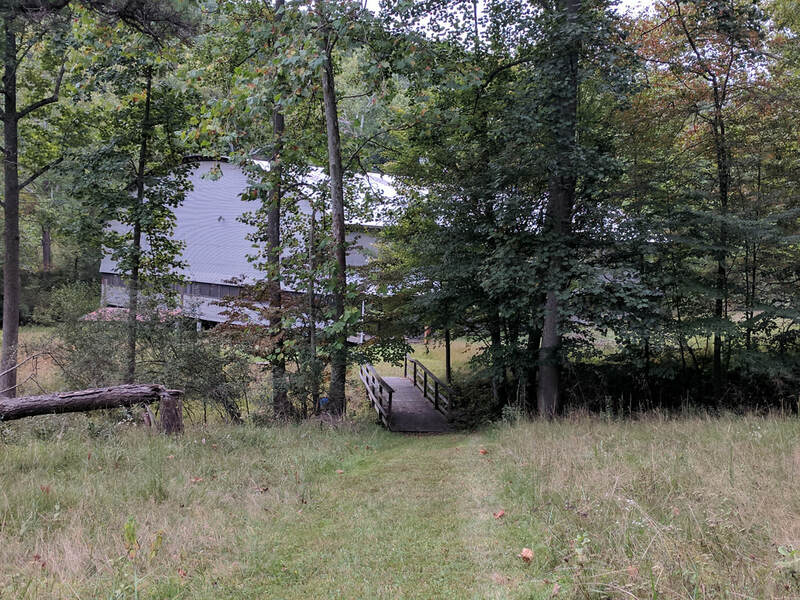 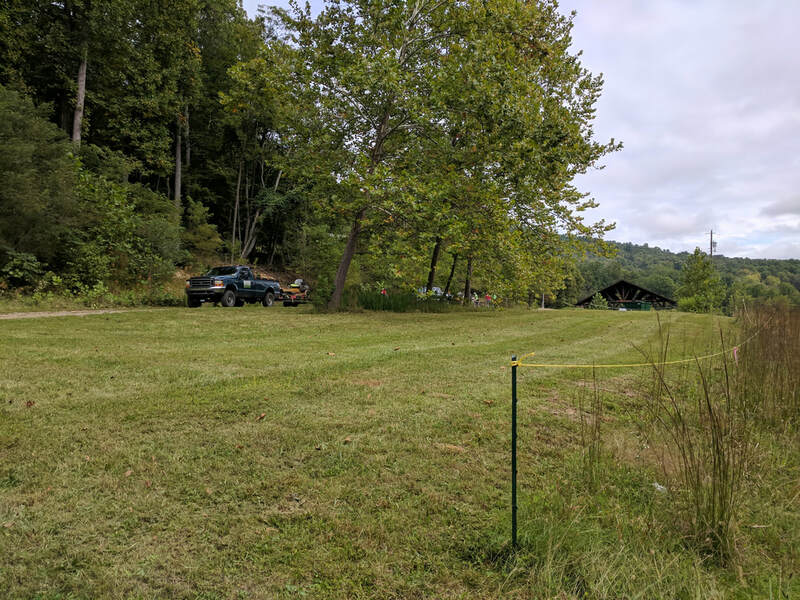 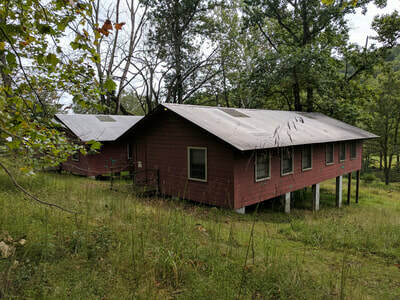 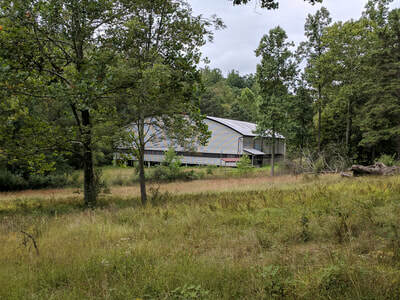 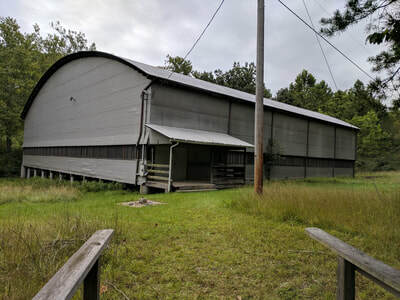 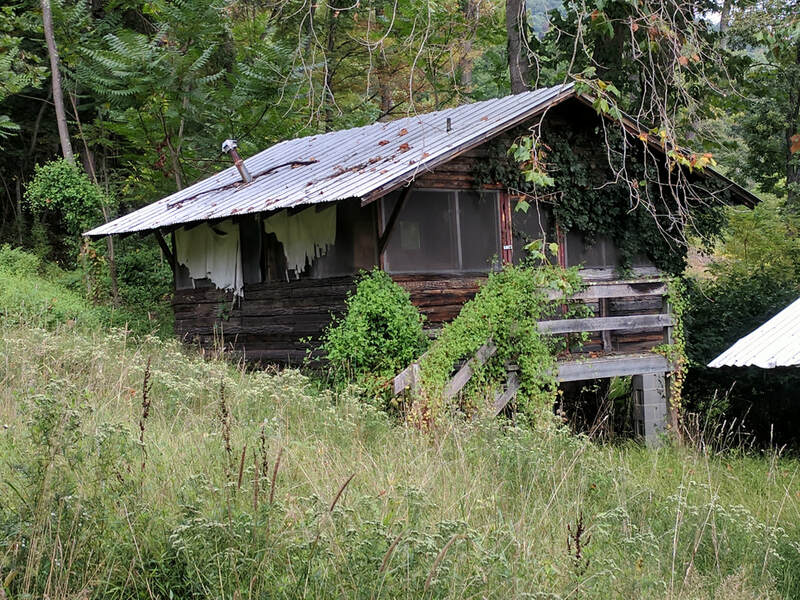 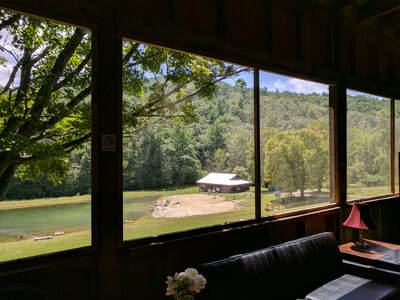 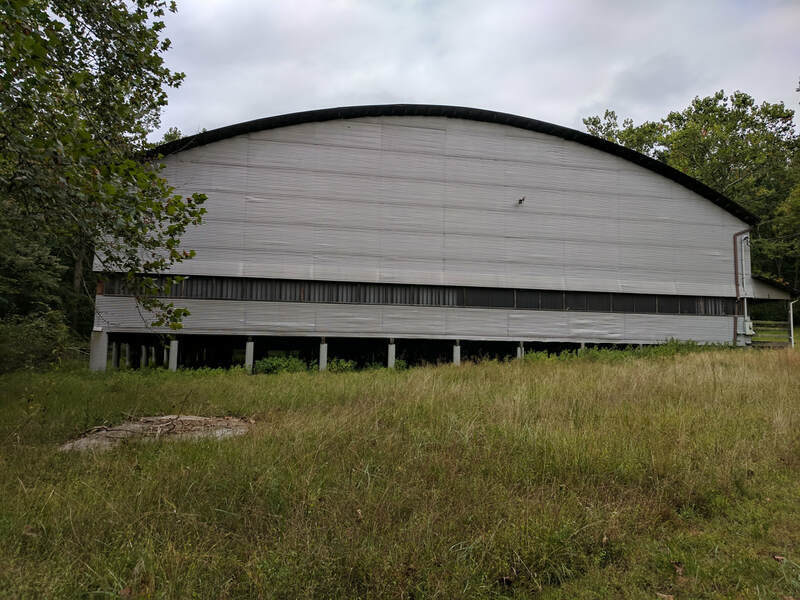 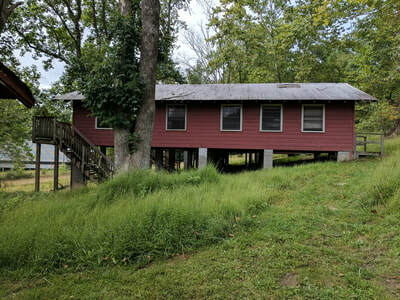 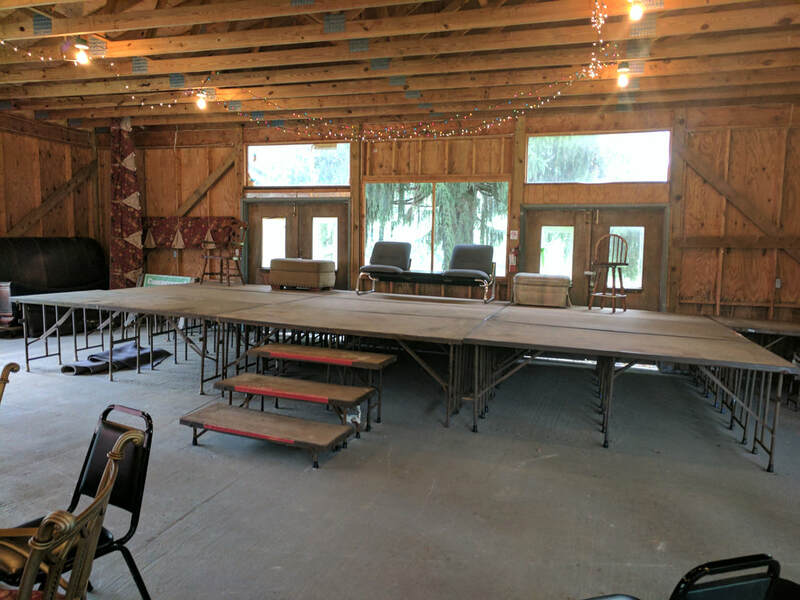 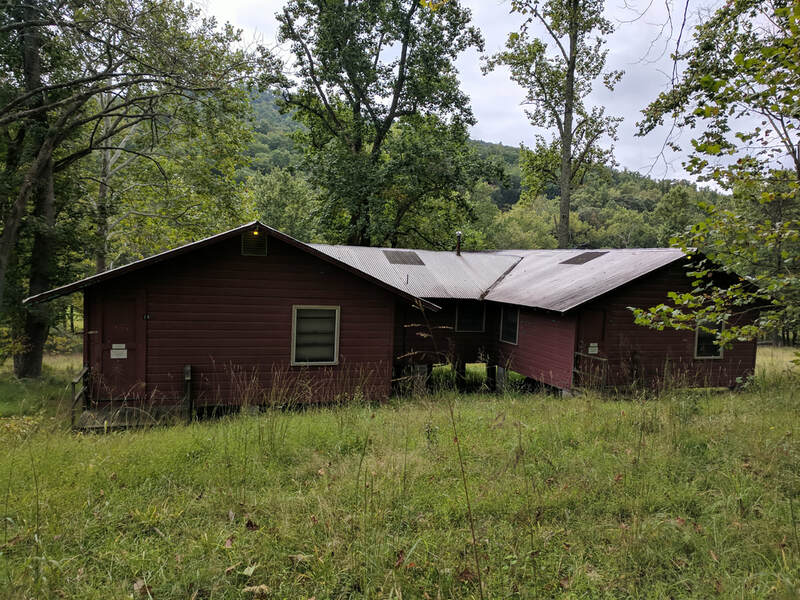 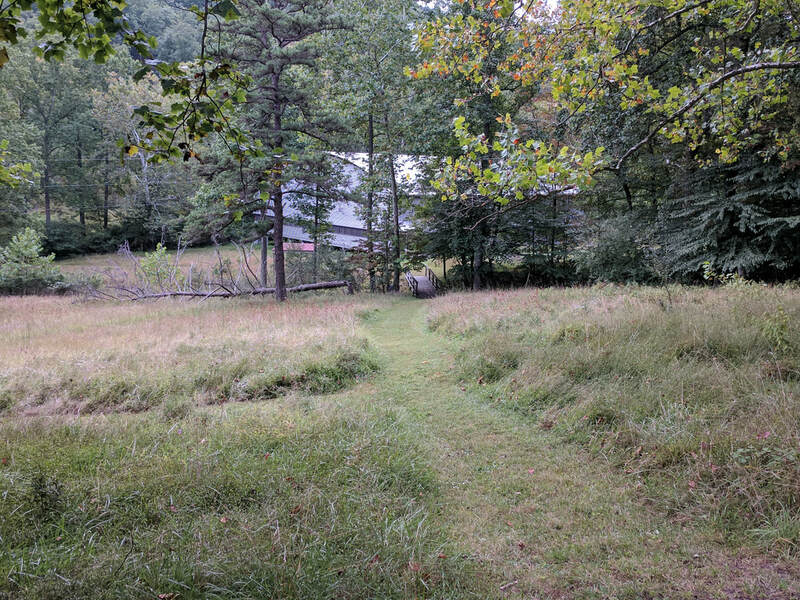 Lot #1 (sector 1 in map below) with a single fixer upper duplex cabin (850 ft^2) uphill beyond the pavilion that includes an old "barn" with 18 acres of land (2 entrances and 2 bathrooms). 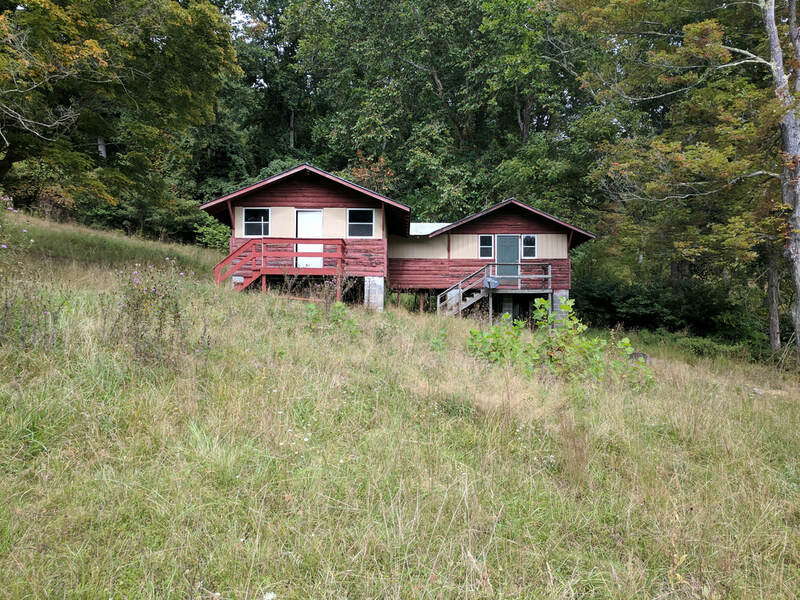 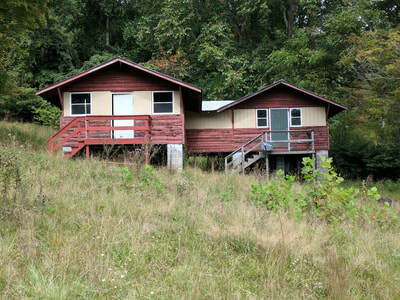 Lot #2 (sector 2 in map below) with two fixer upper duplex cabins (each 850 ft^2) and approx. 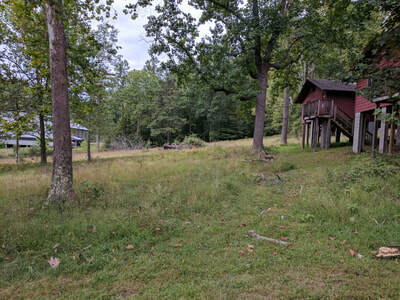 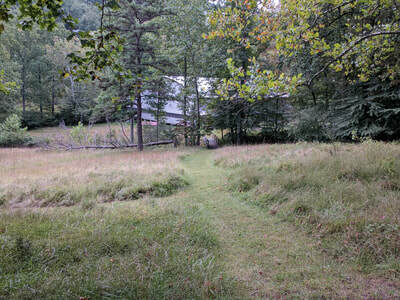 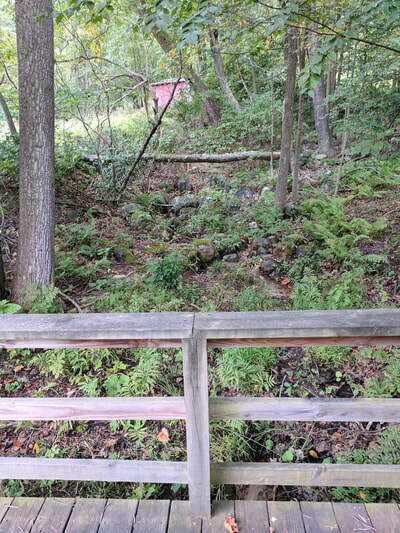 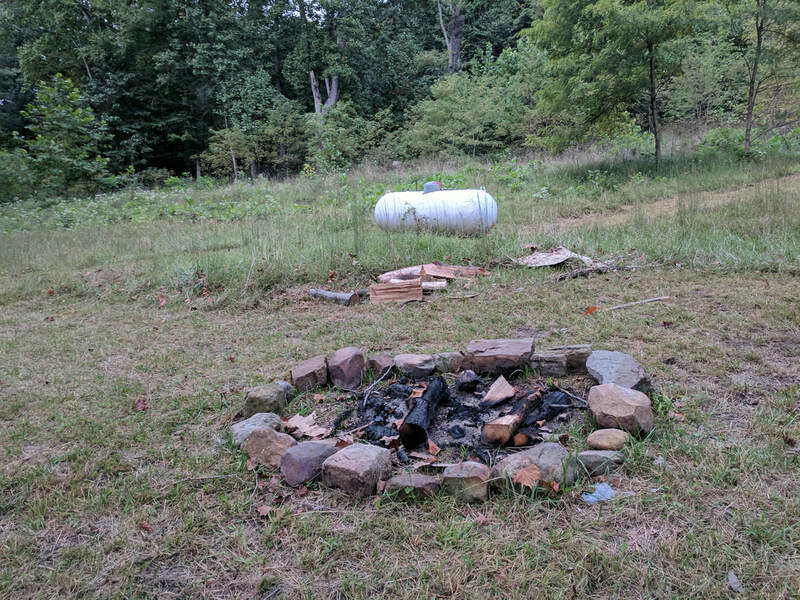 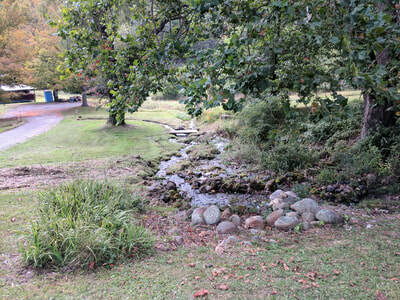 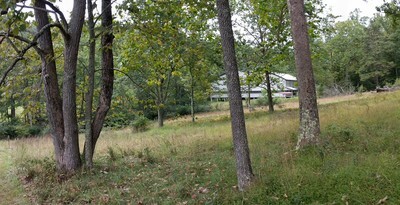 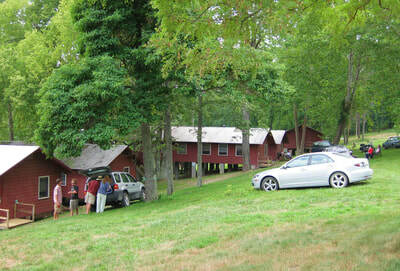 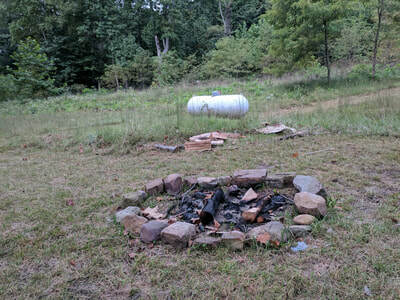 3.5 acres of land (each with 2 entrances, 2 bathrooms). 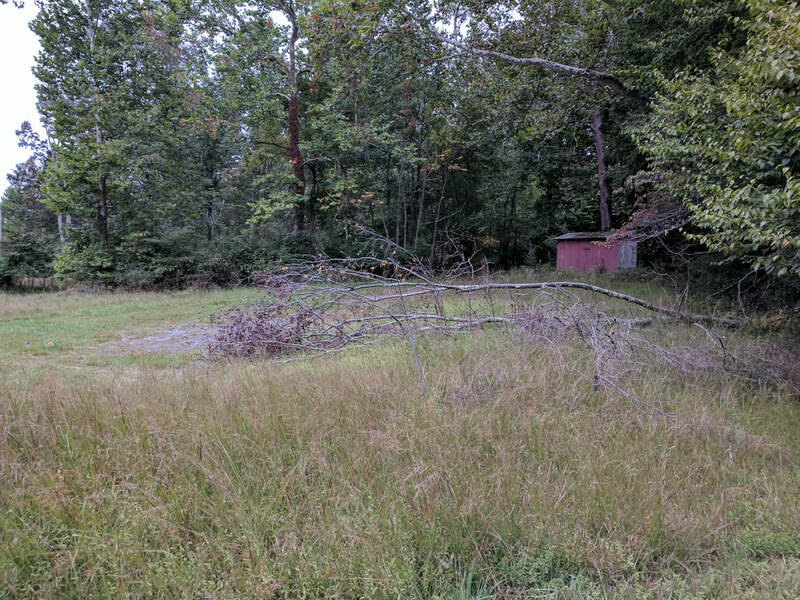 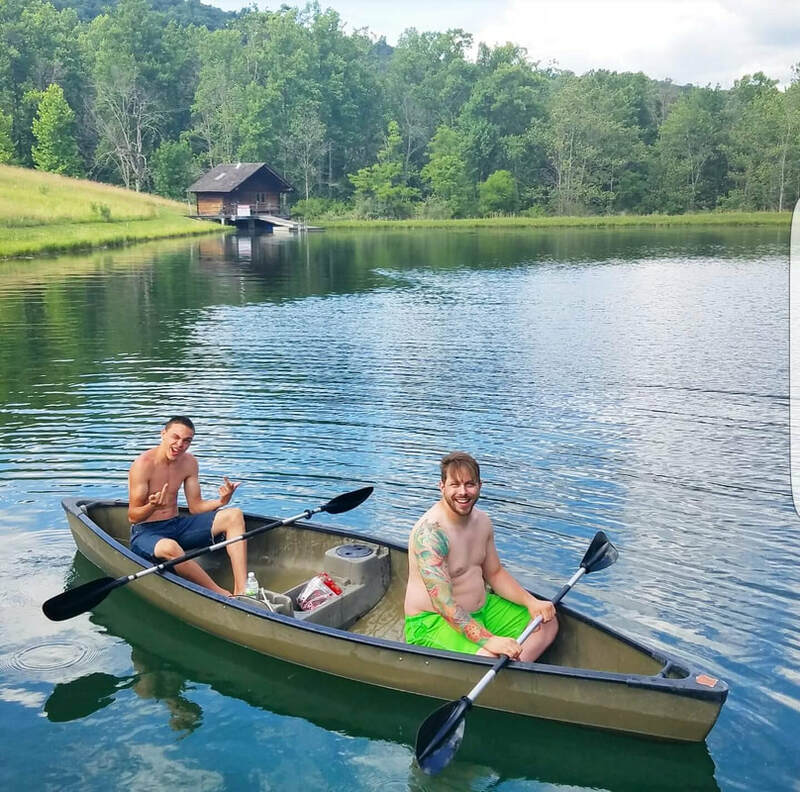 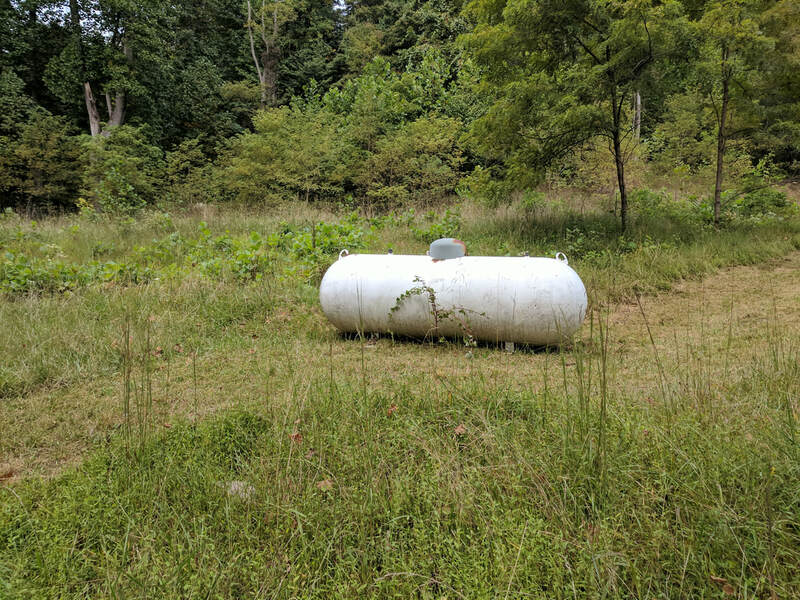 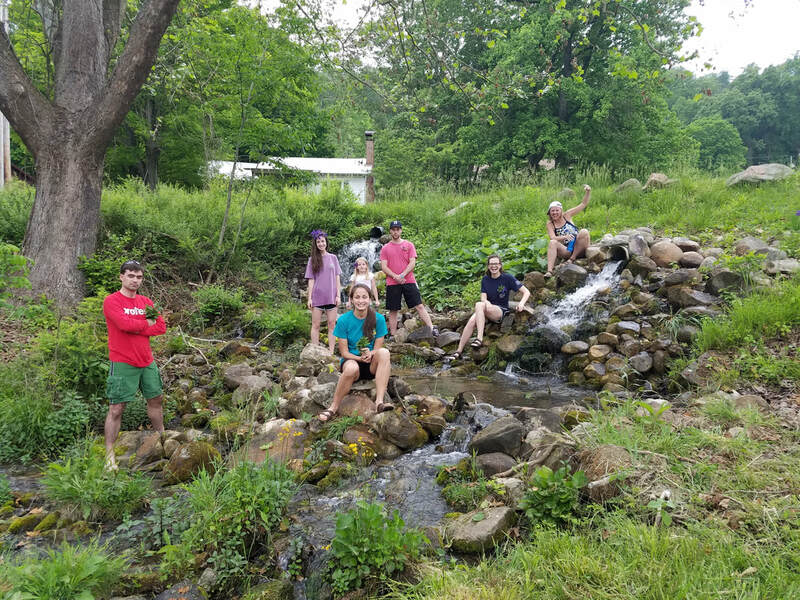 Lot #10 (sector 10 in map below) with a fixer upper 10,000 square foot gymnasium and approximately 10 additional acres of land and lots of creek front. 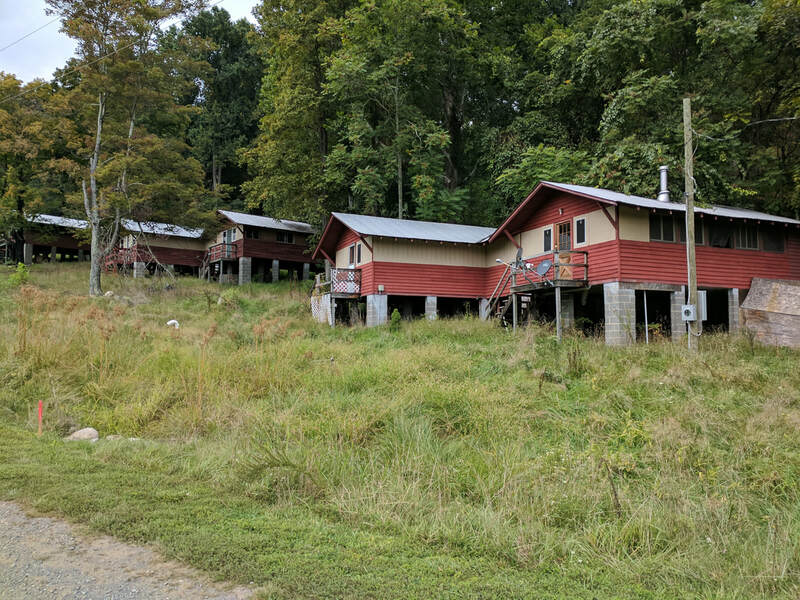 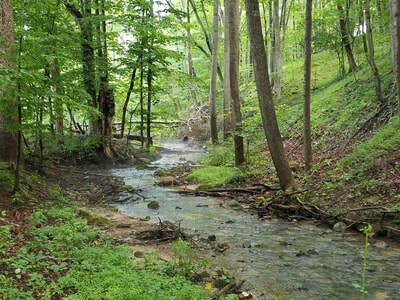 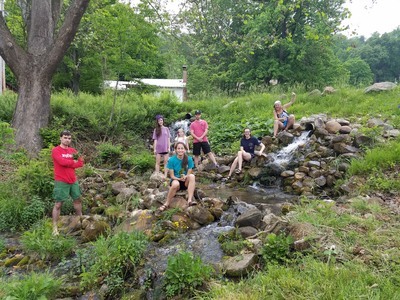 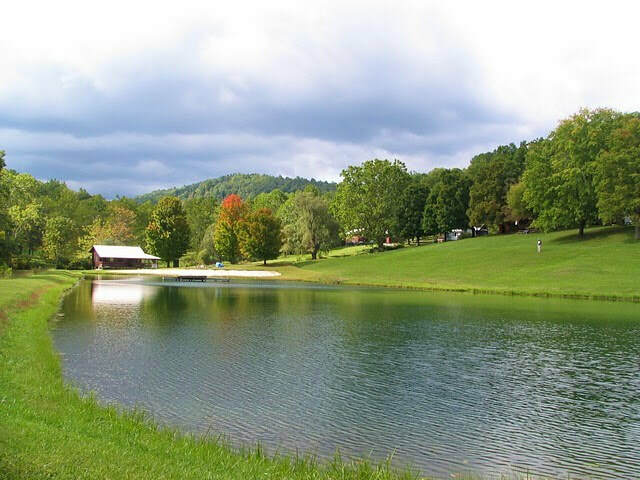 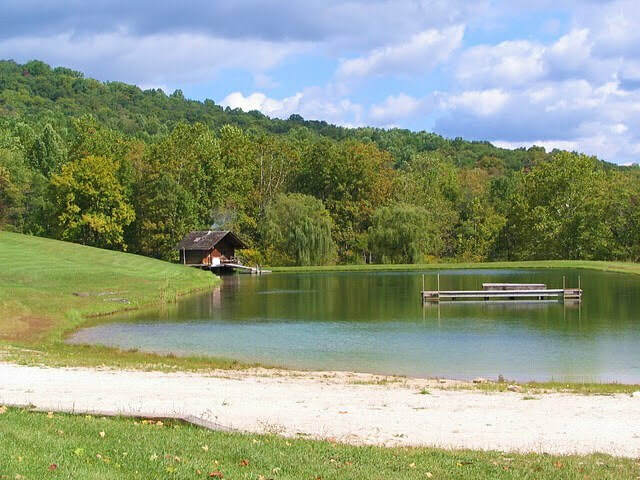 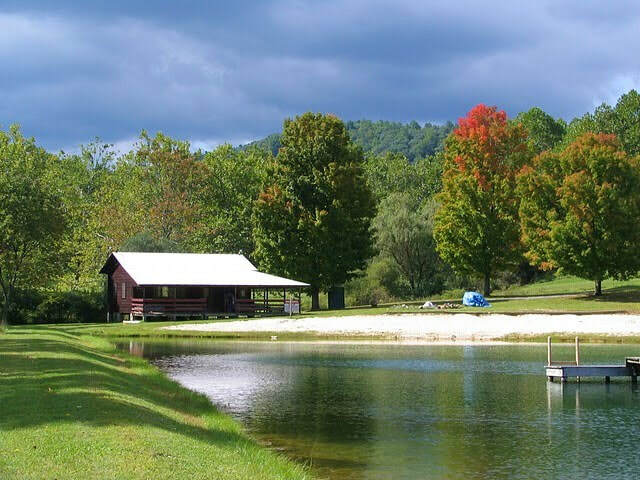 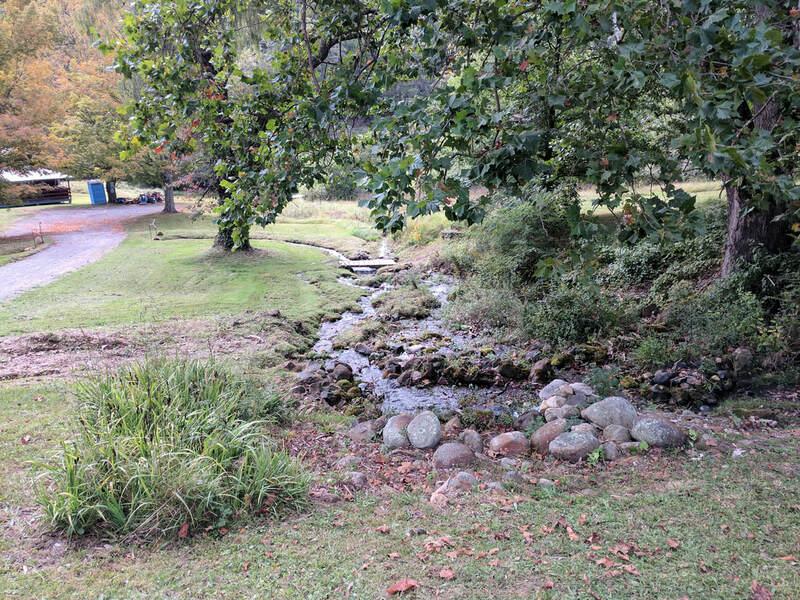 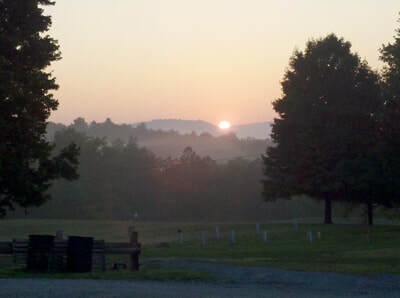 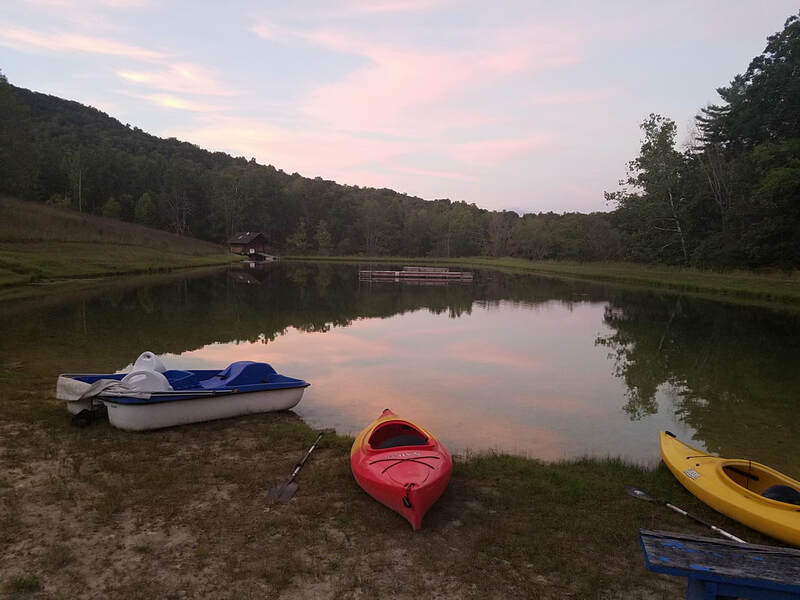 The bank has offered current owners of Buffalo Gap Retreat a special price and special incentives to buy the remaining 4 lots as a single purchase without having to break up the lots into individual sales. 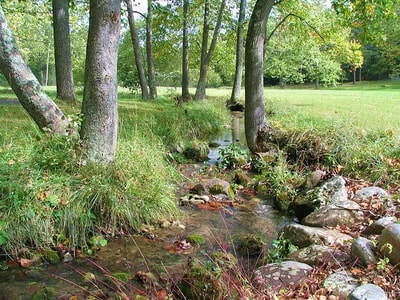 But most partners are not interested... so looking for additional collaborations and phase II partners. 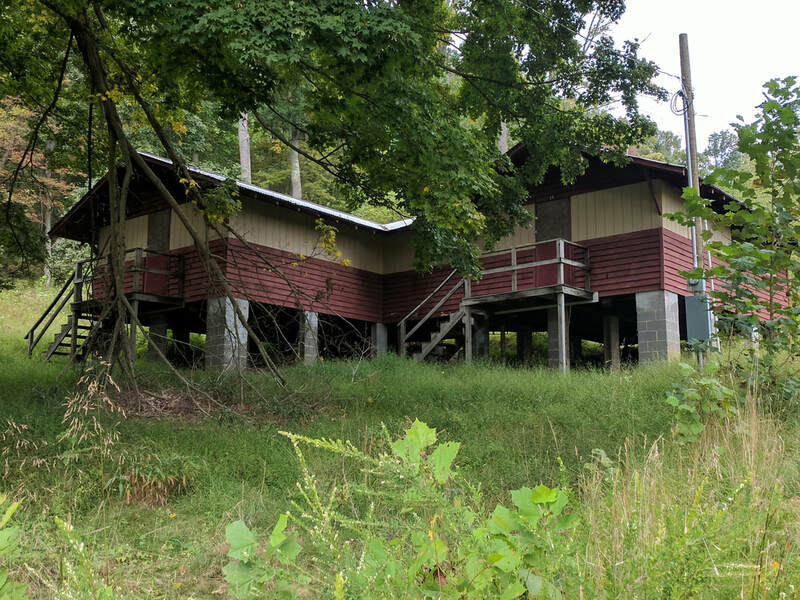 The lots can be purchased by multiple owners as a new LLC or they can be divided up to individual owners at closing with exclusive deeded ownership of say the duplex cottages on Lots #1 and #2 for example deeded to specific person(s). 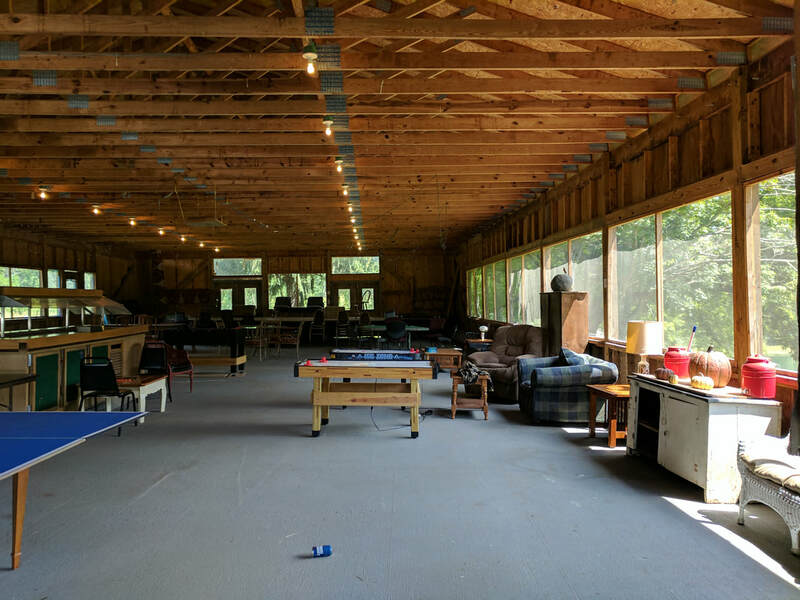 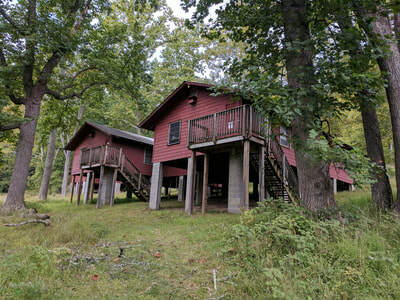 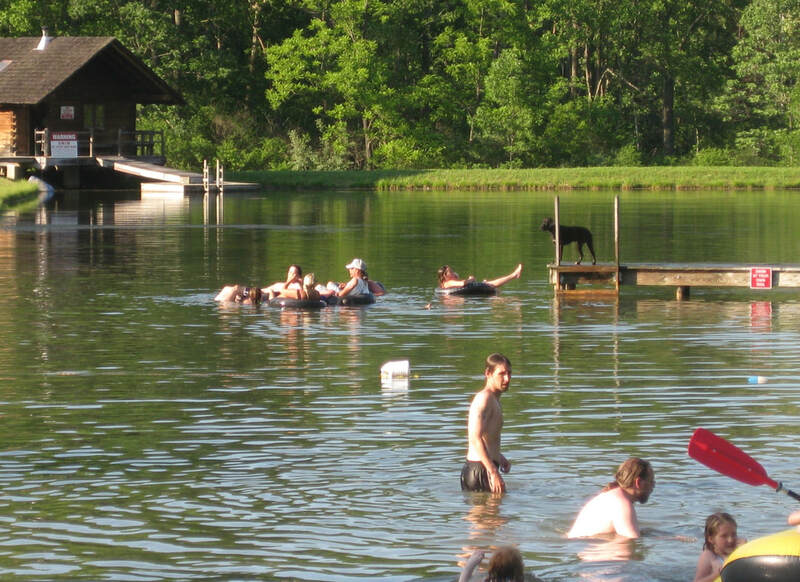 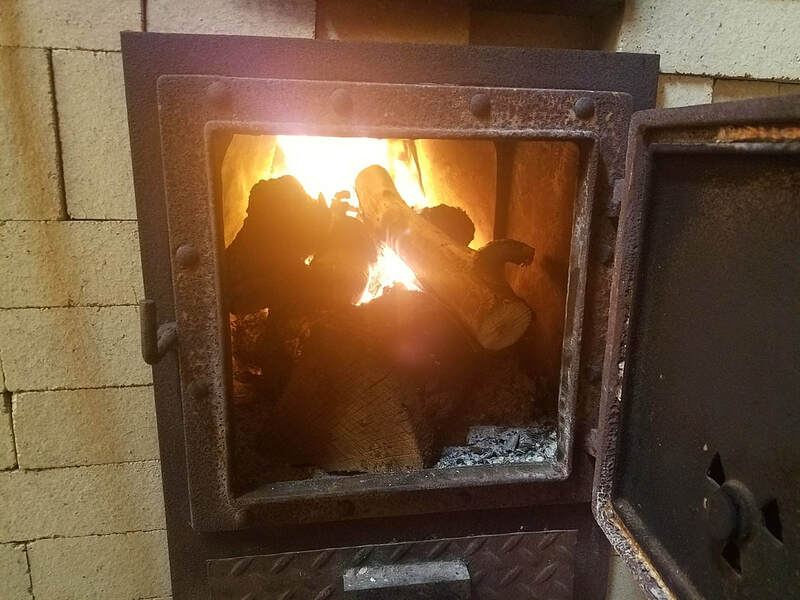 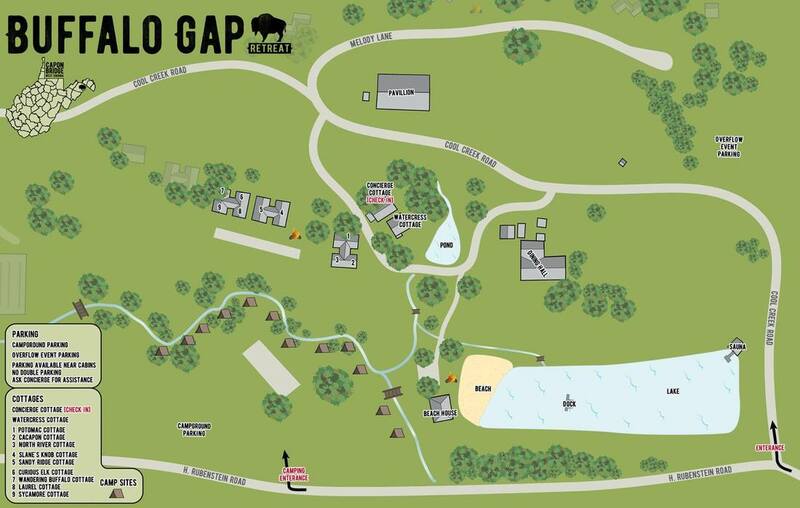 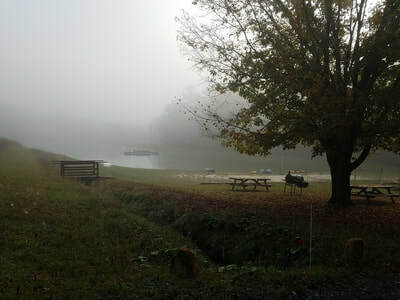 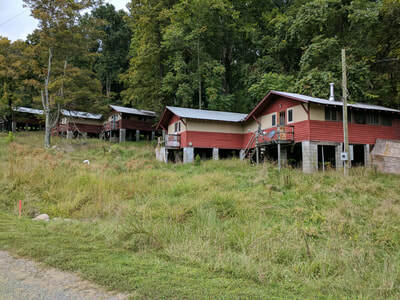 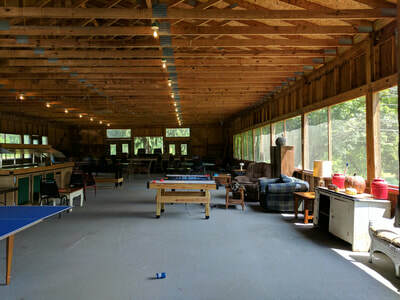 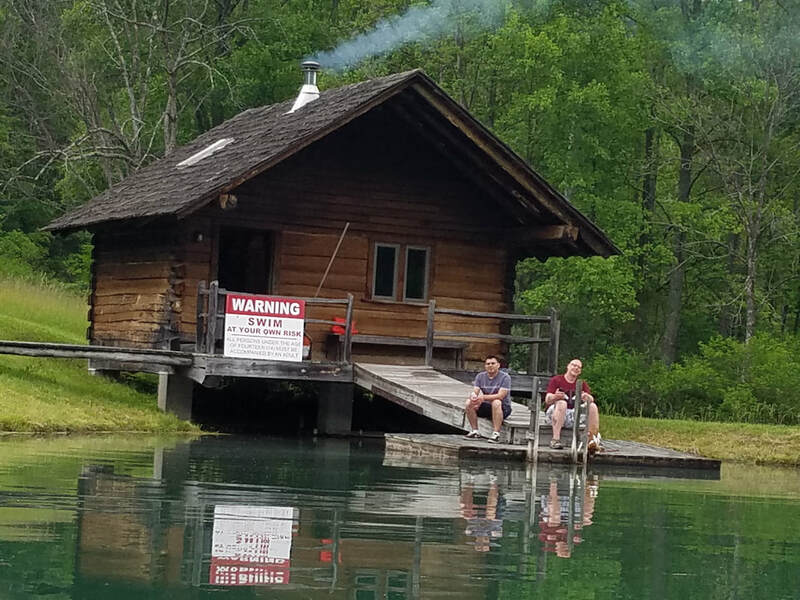 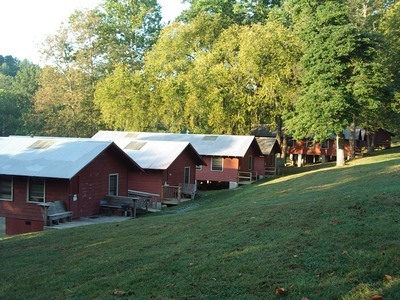 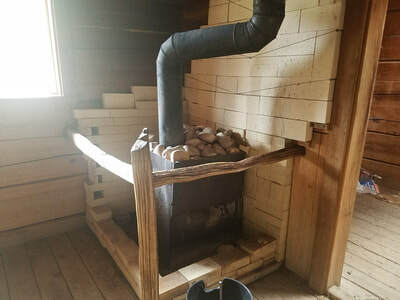 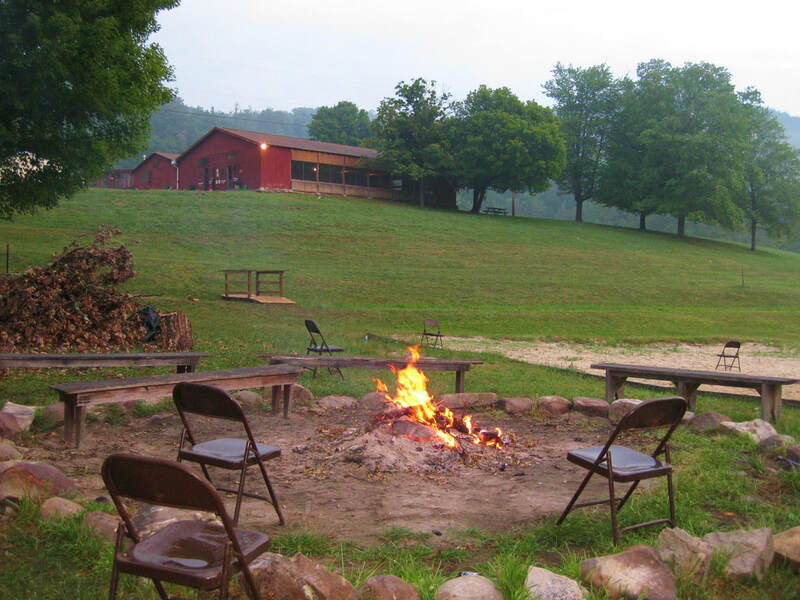 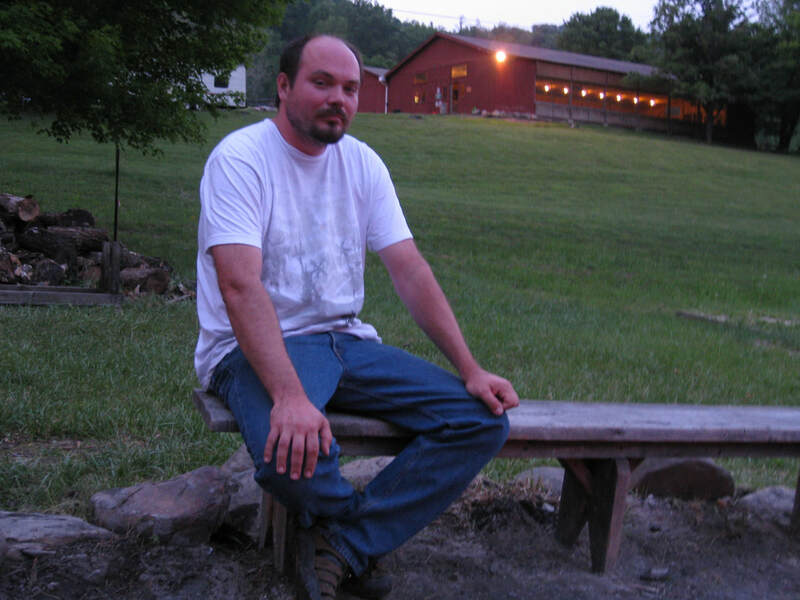 But the combined purchase power would allow Buffalo Gap Retreat to help negotiate a discounted price with some great incentives and partnership opportunities for new buyers -- and includes HOA use of the lake area, beach area and wood fired sauna as well as much of the common areas of the whole camp complex. 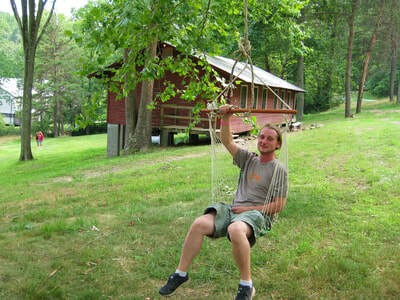 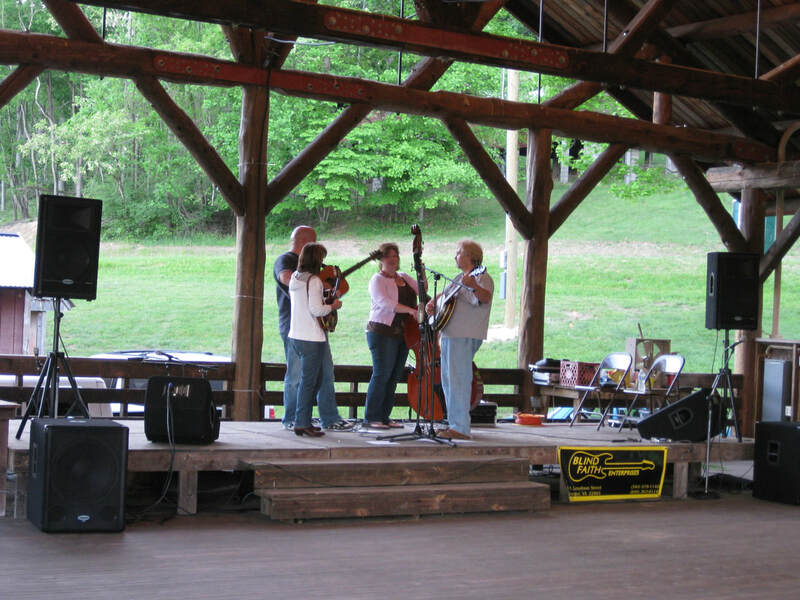 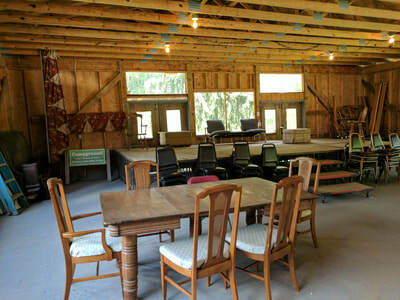 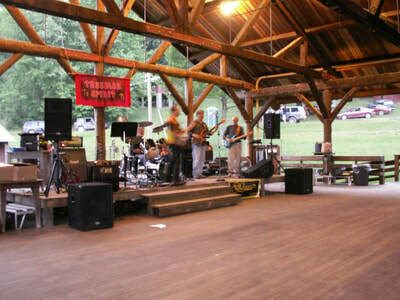 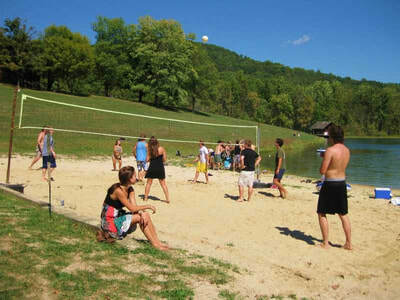 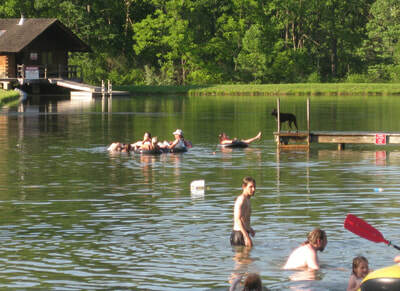 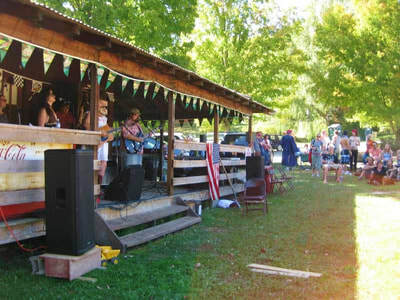 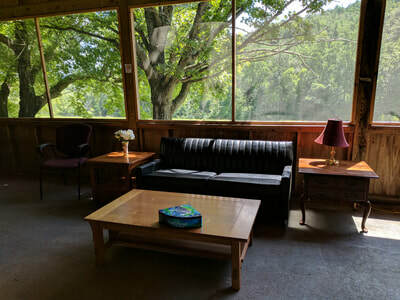 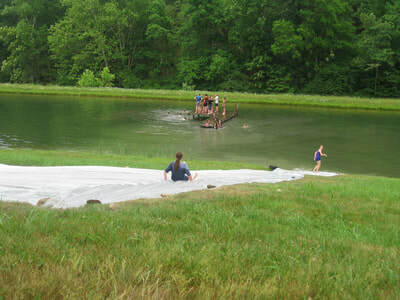 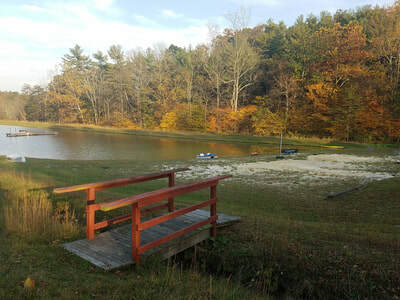 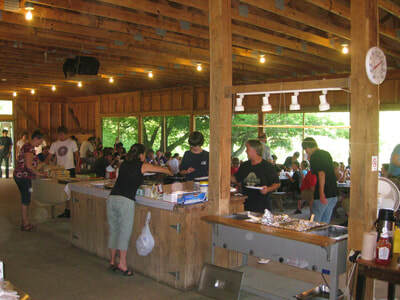 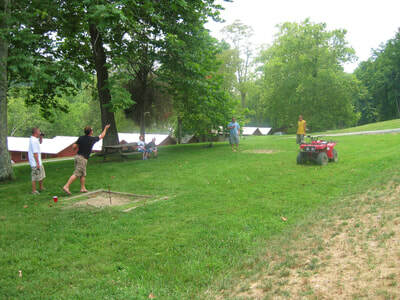 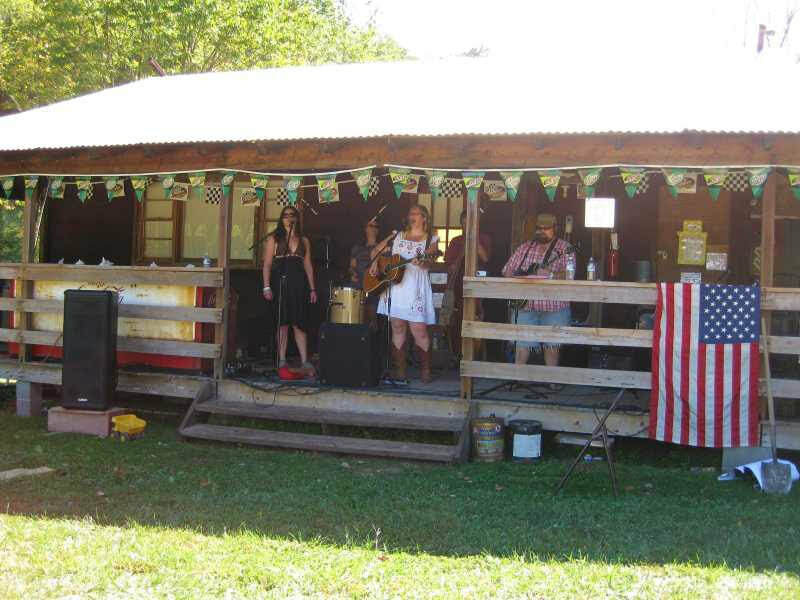 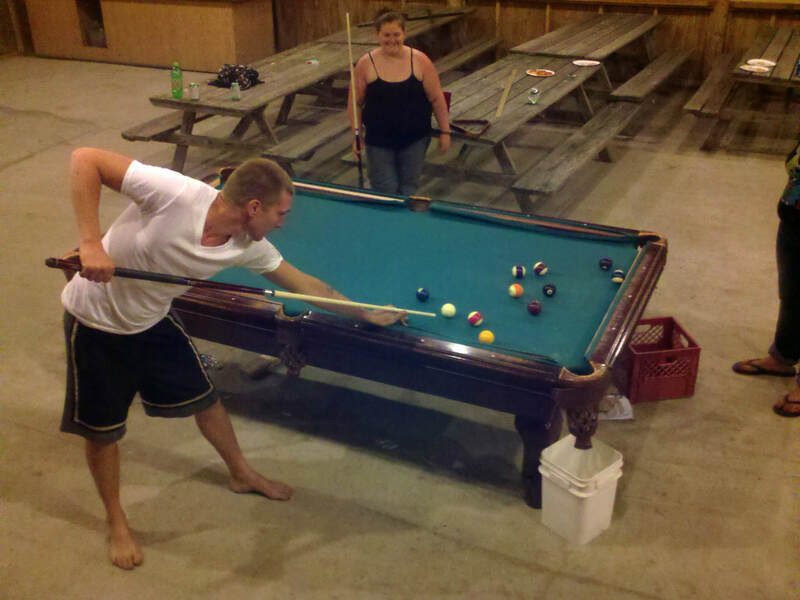 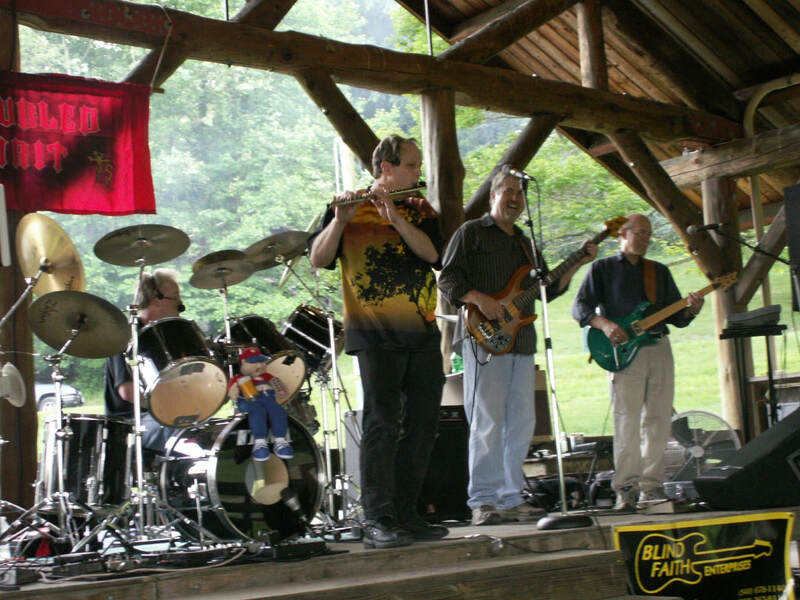 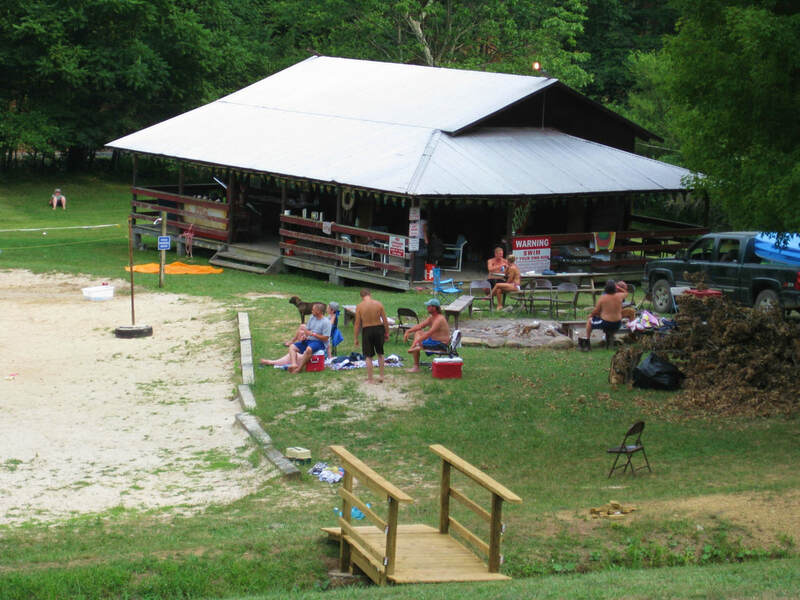 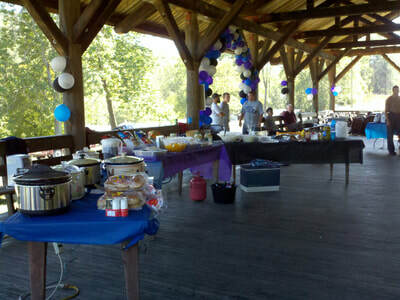 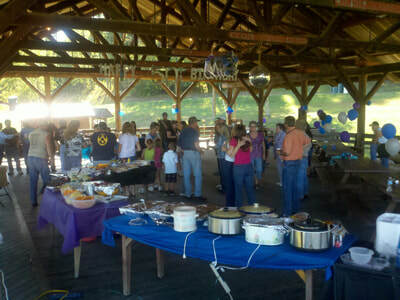 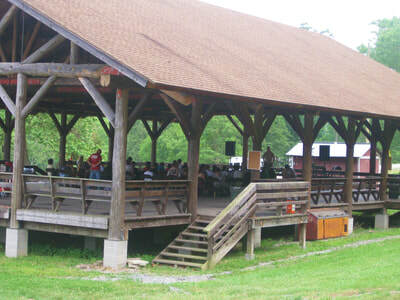 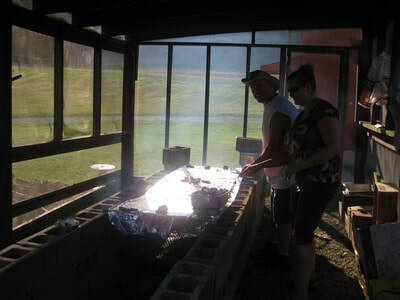 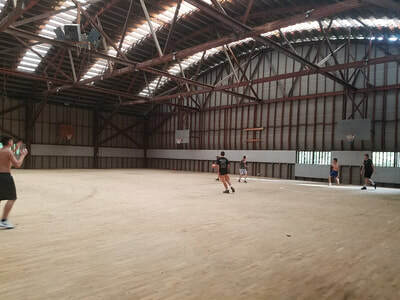 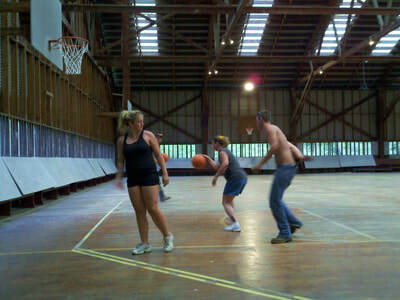 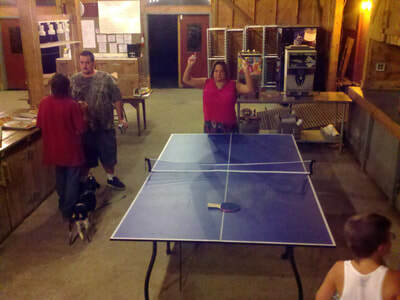 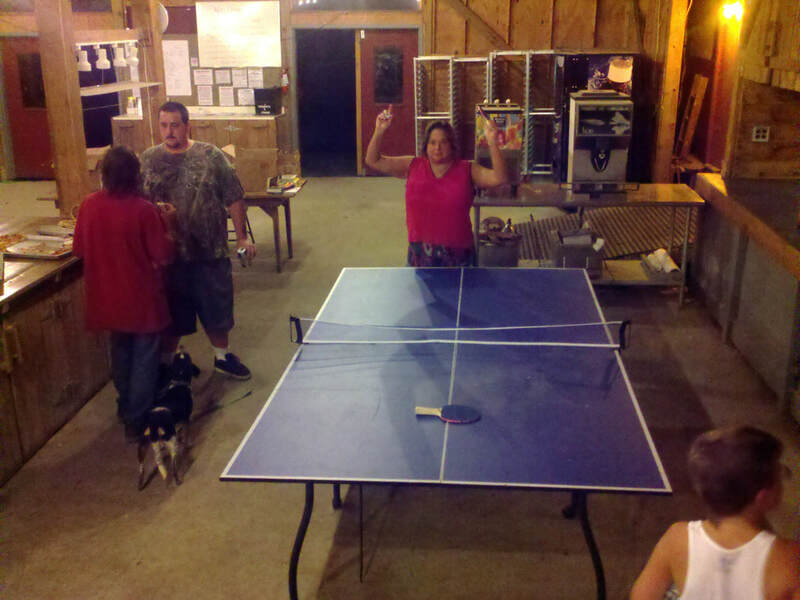 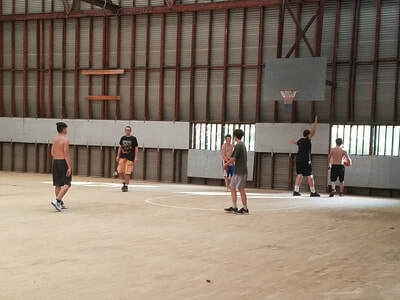 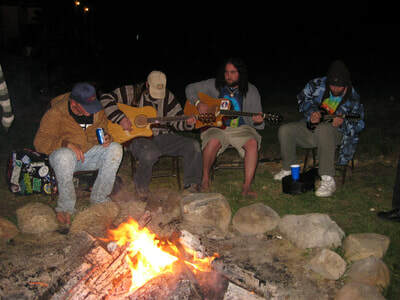 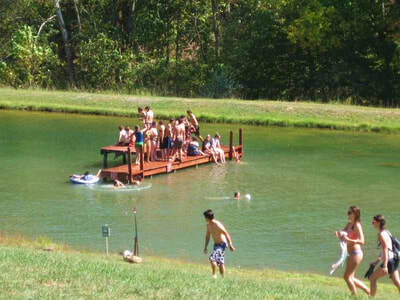 Other rentable facilities at Buffalo Gap Retreat (non HOA) include a 4,000 square foot covered dance and music / entertainment pavilion, a 3200 square foot lake view Dining Hall and Gathering place, a 1200 square foot commercial kitchen with outdoor walk in freezer/fridge, restrooms, and large covered grill pit, and a beach house for private party rentals and more. Prices, special offers extended to us, infra-structure and condition of structure details will all be discussed in person only. Additional privately owned properties may also be available within the complex also with HOA lake rights. Share of 20% down and good credit history required for interested parties. 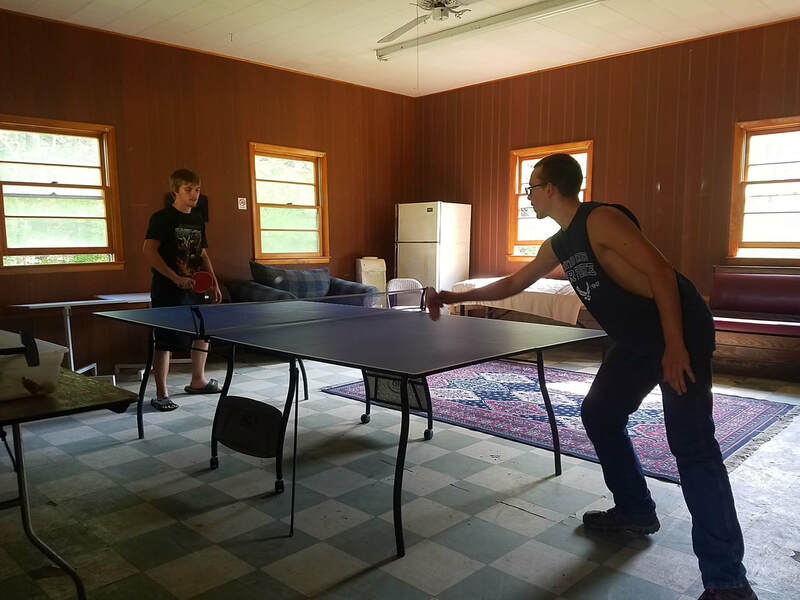 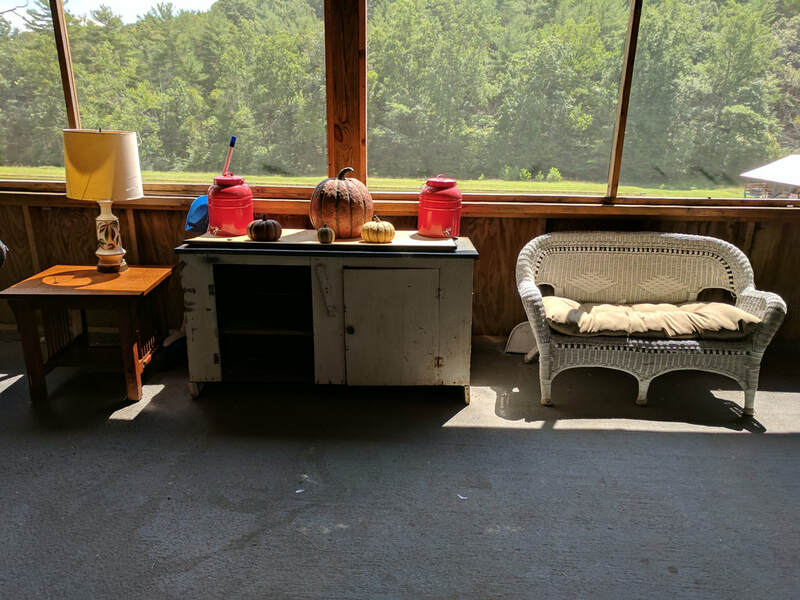 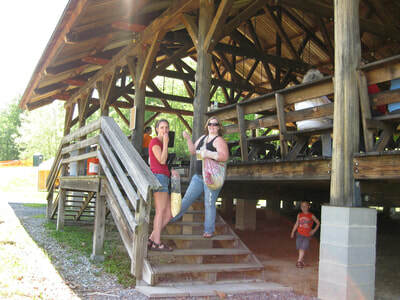 Many photos below of the existing foreclosed properties and some of the improved camp and common areas. 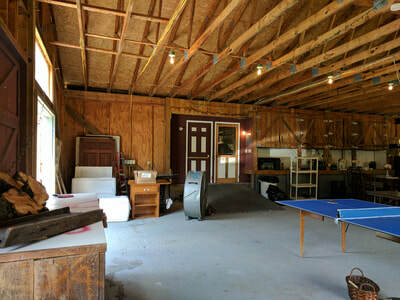 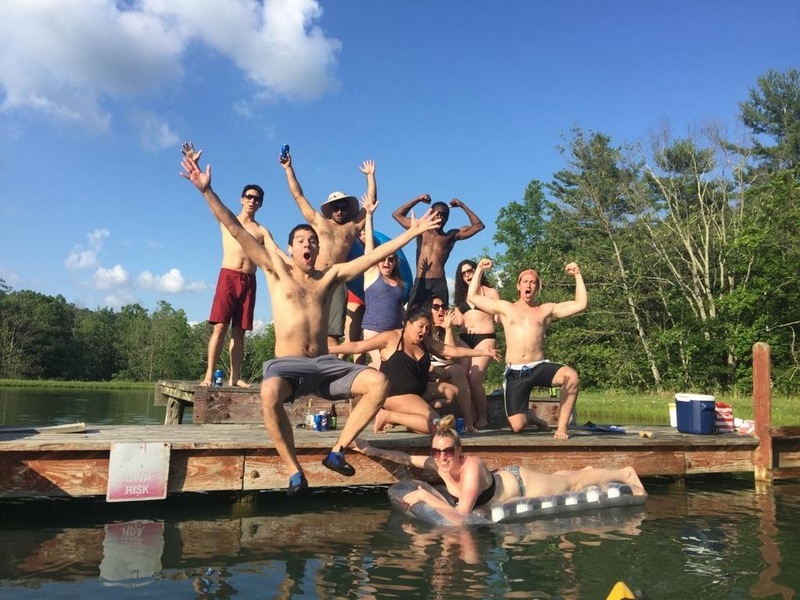 See the extensive PHOTO GALLERY below.